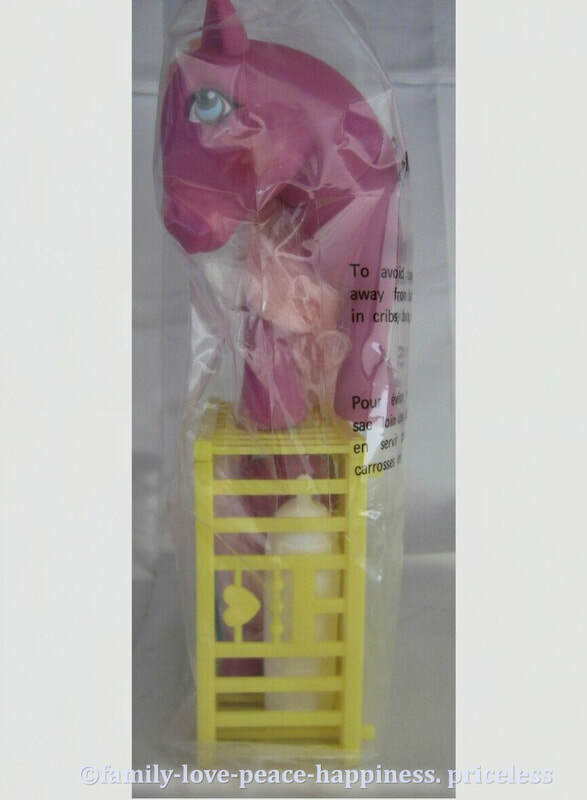 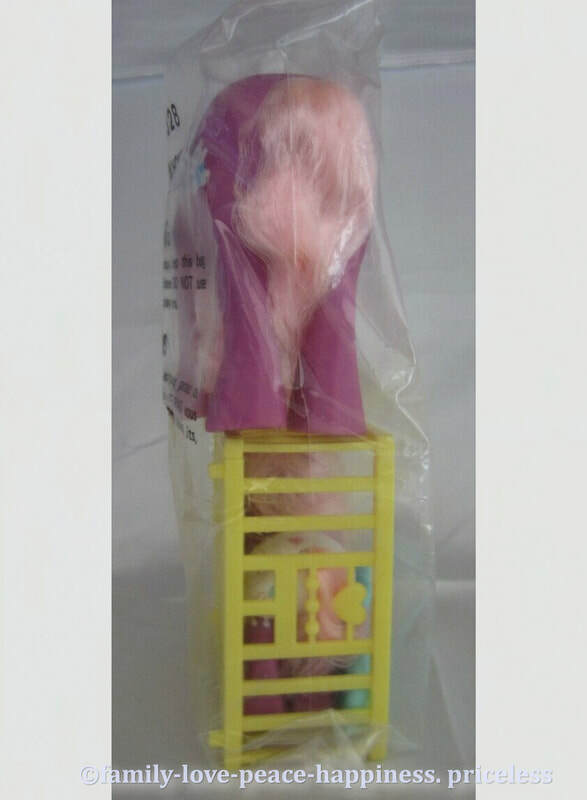 Sold as a friend for the Doll Jem, Rama Llama was also included in a My Little Pony mail order offer. 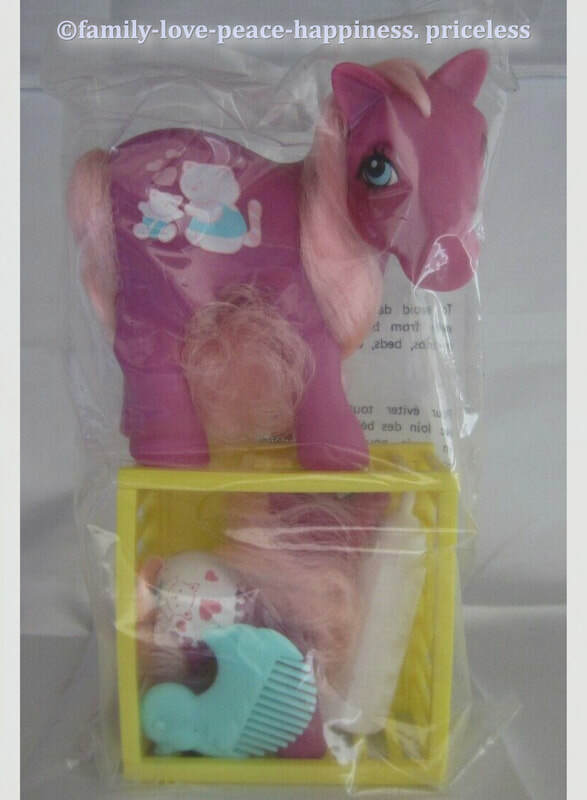 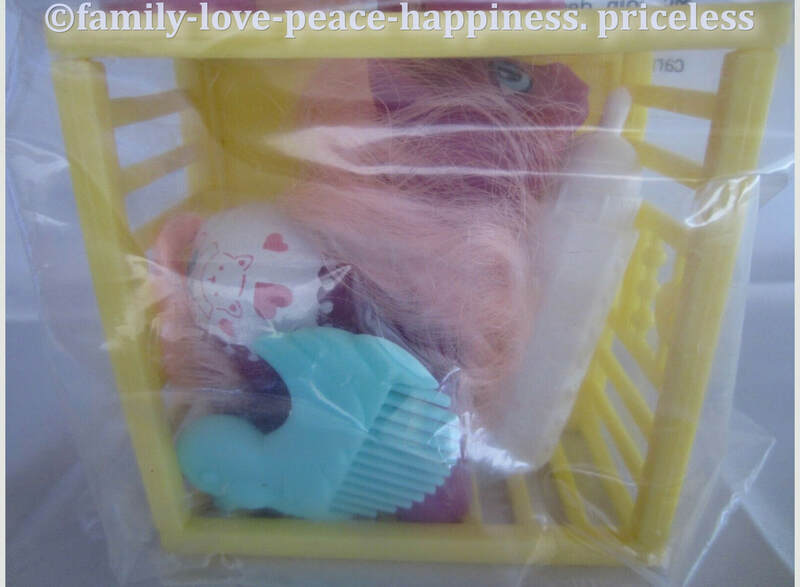 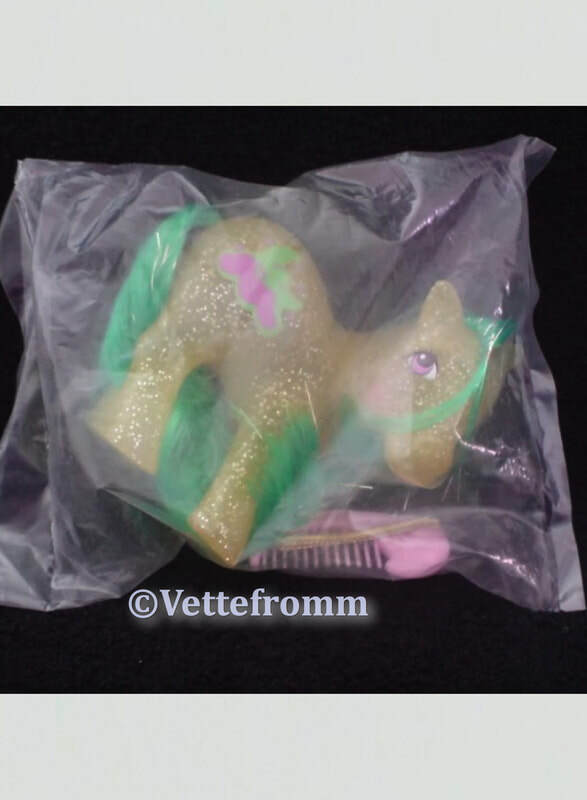 I think it's the Jem version that comes with a llama brush and blanket and the MLP version came with just the brush. 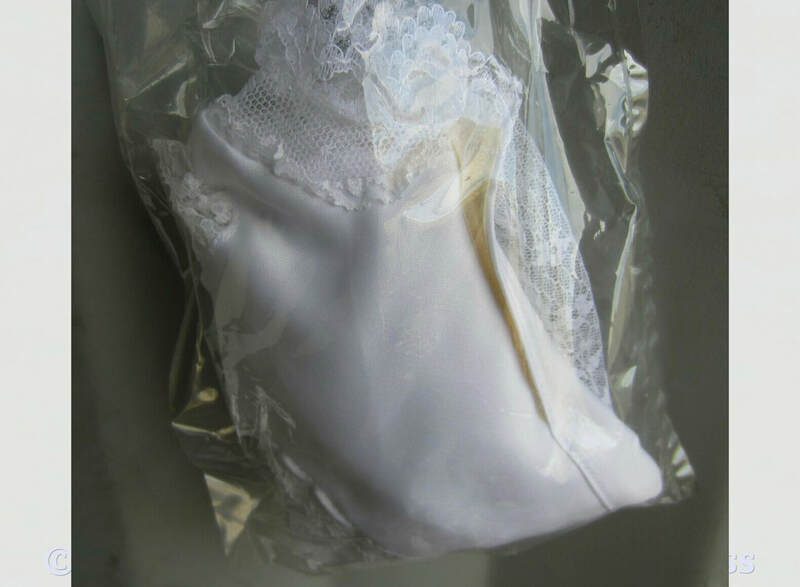 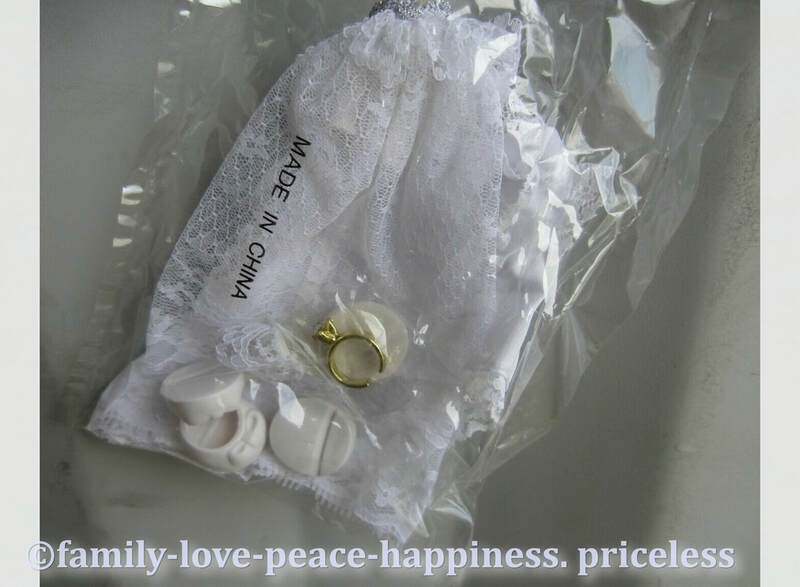 The wedding outfit was packaged separately. 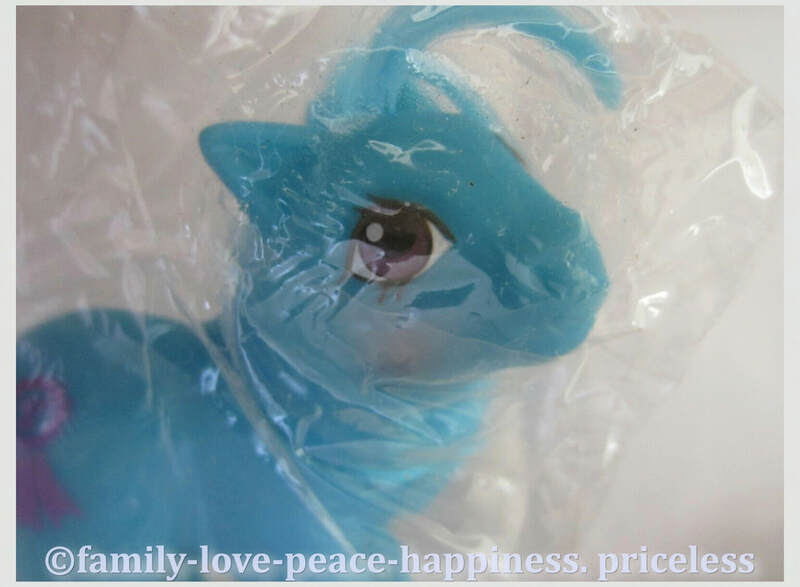 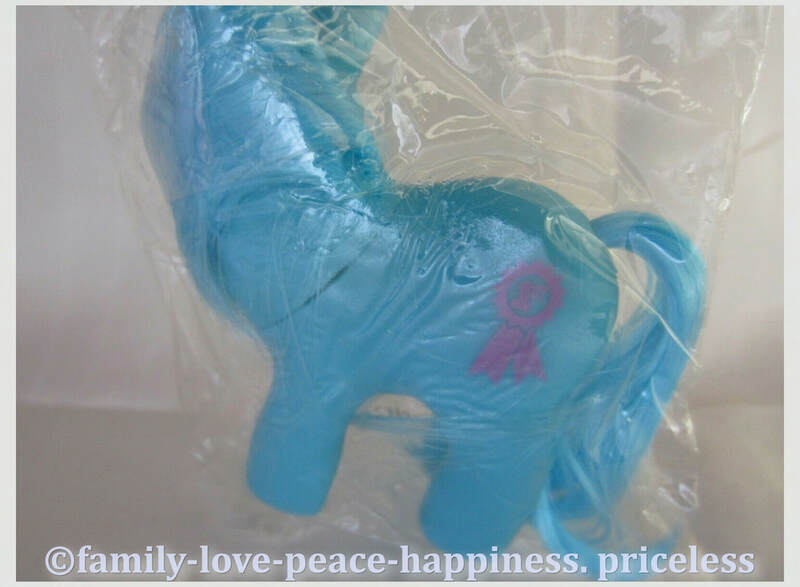 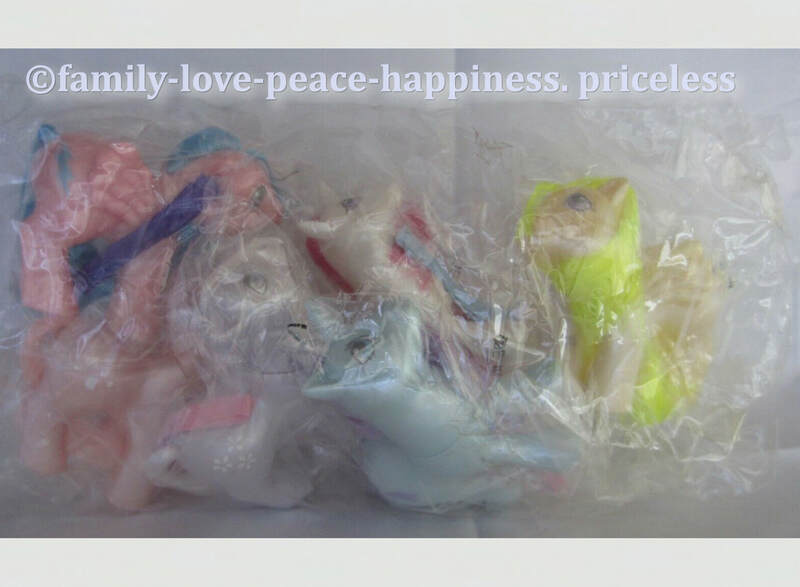 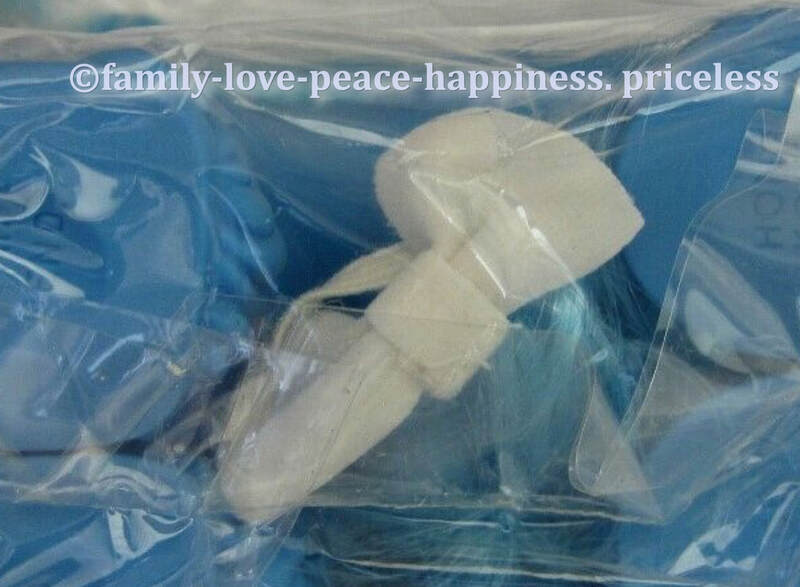 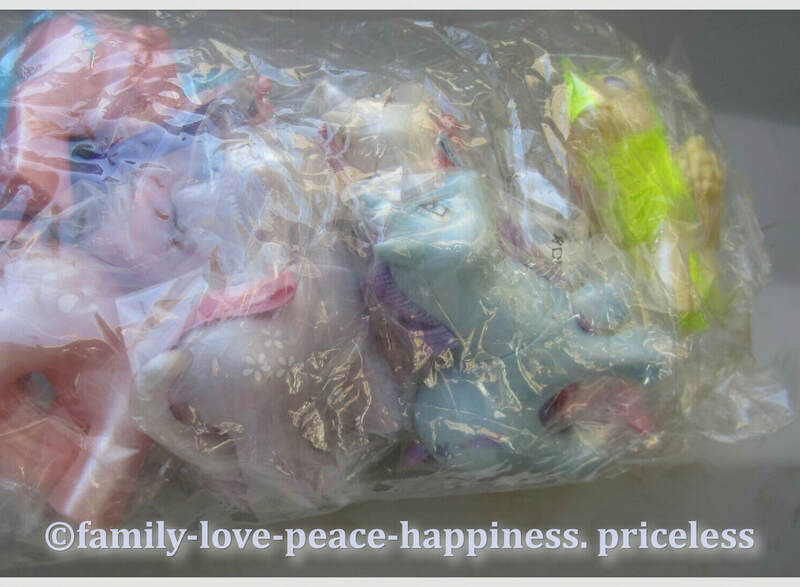 Some Sea ponies also came in plastic bags with just their ribbon and Puffy Sticker. 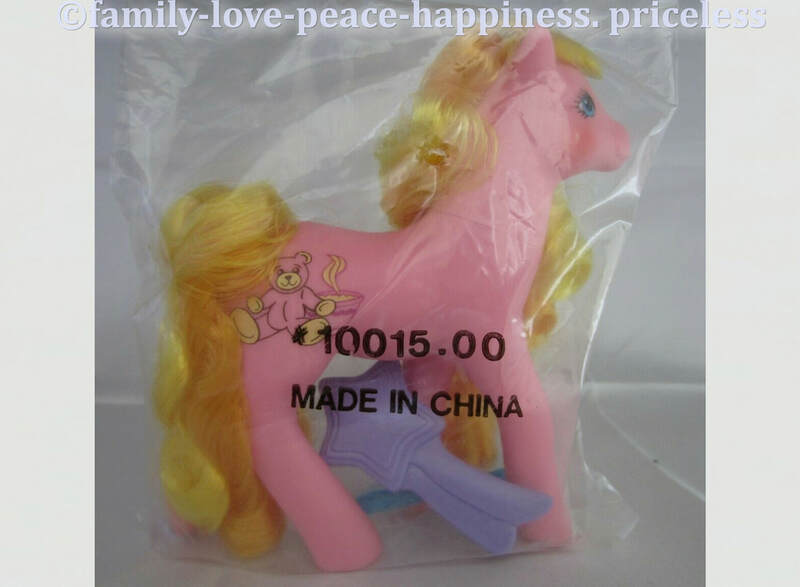 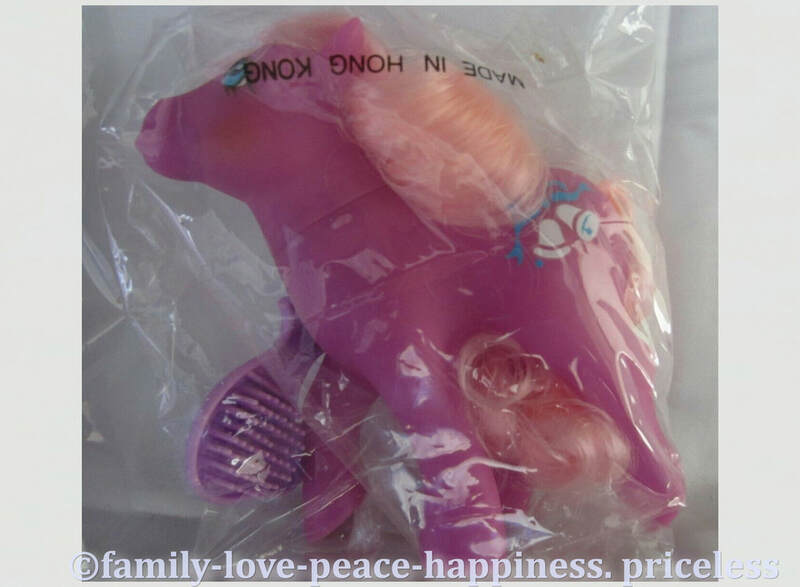 These ponies are slightly different from the Store sold ponies. 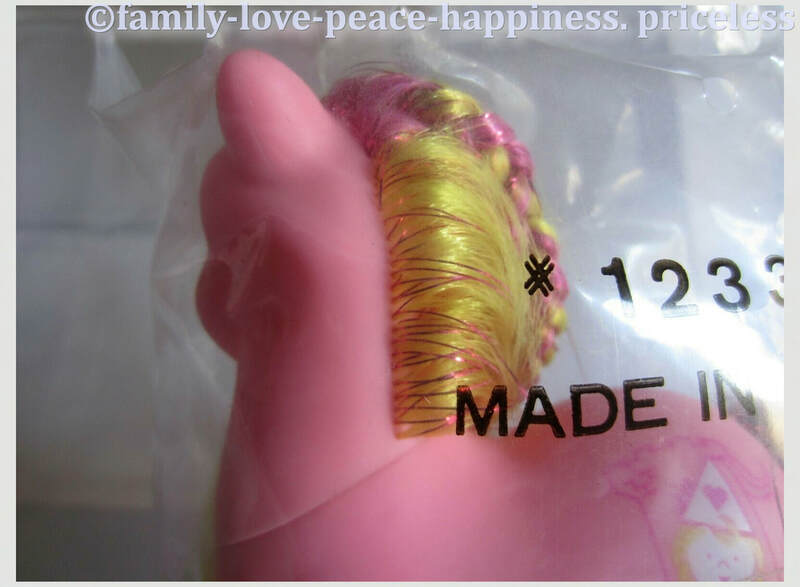 Each now comes with a ribbon, which has a metallic edge. 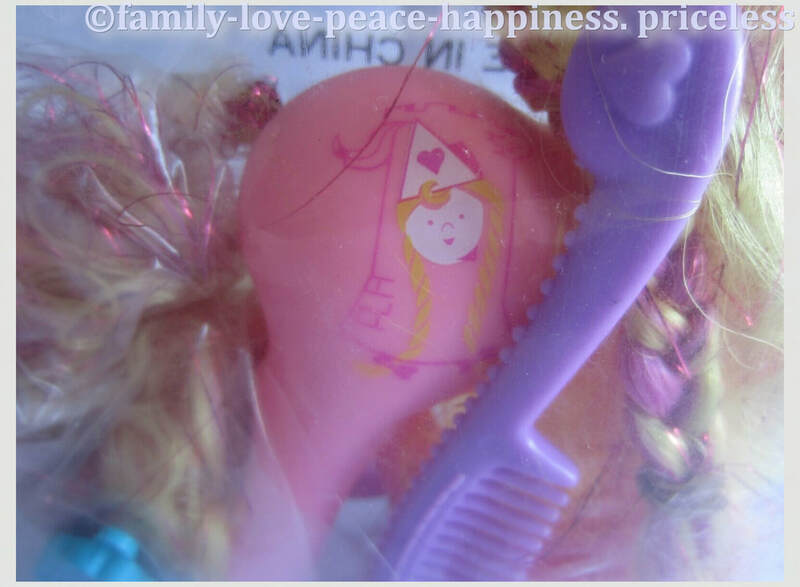 They also have a small symbol on one cheek that compliments their main symbol. 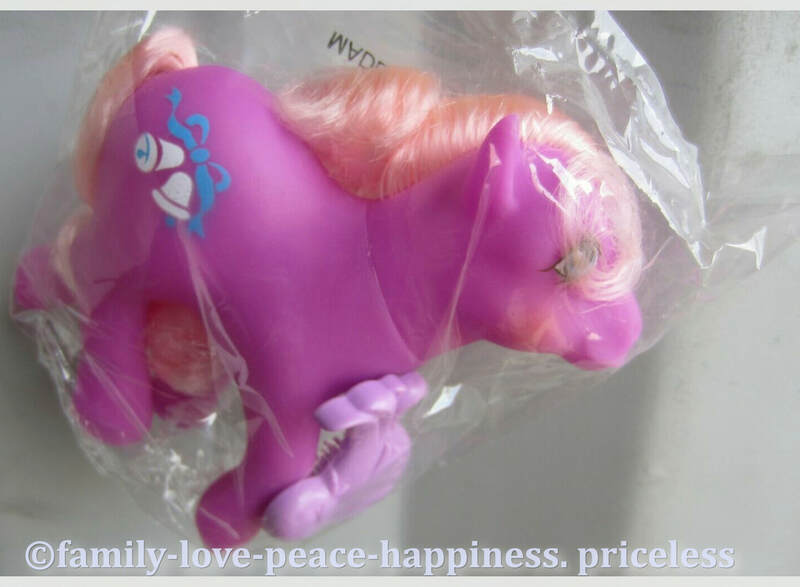 Napper and Star Hopper also have a change in hair. 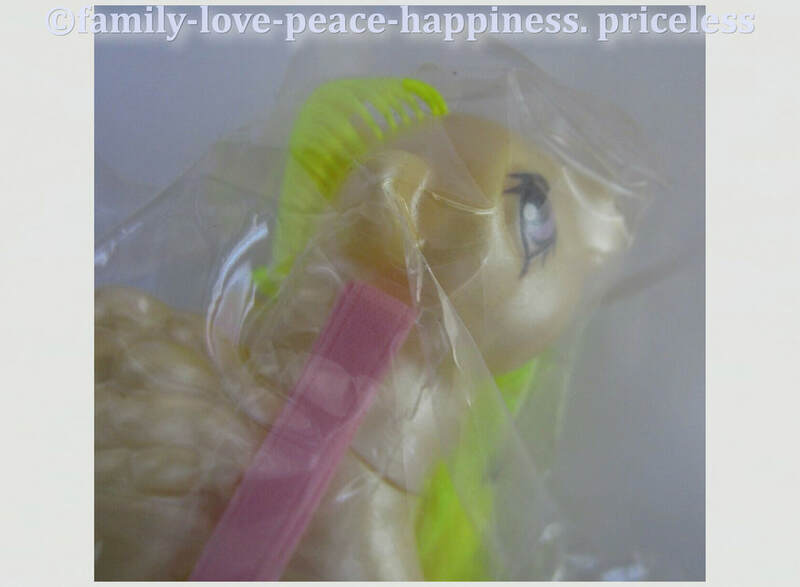 Napper now has Green and Star Hopper has white. 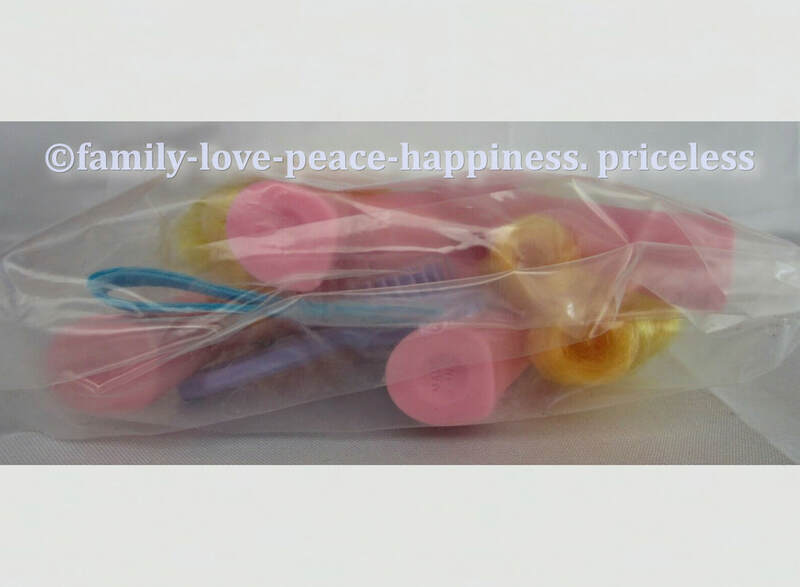 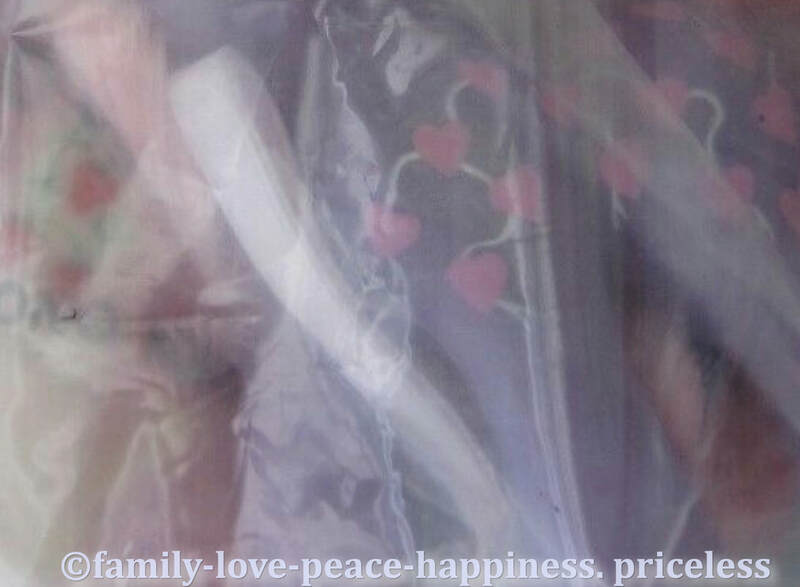 Each baby is packed in an individual bag then inside a larger one. 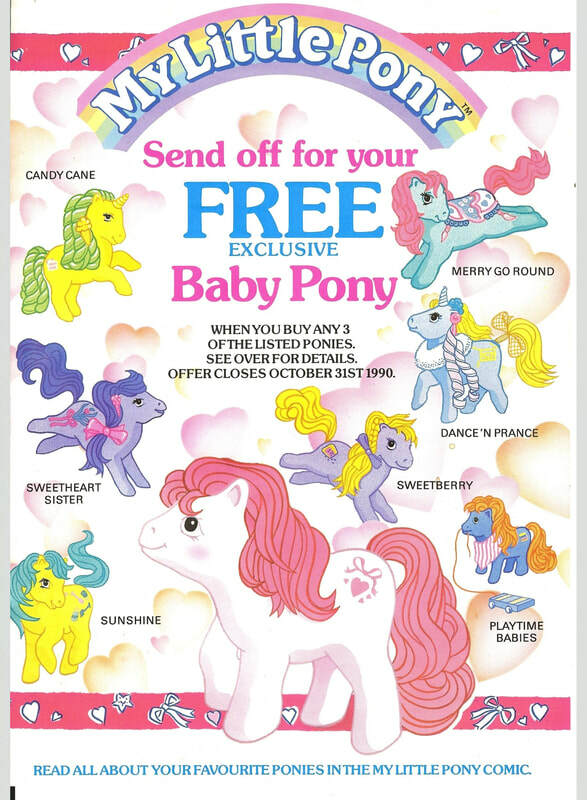 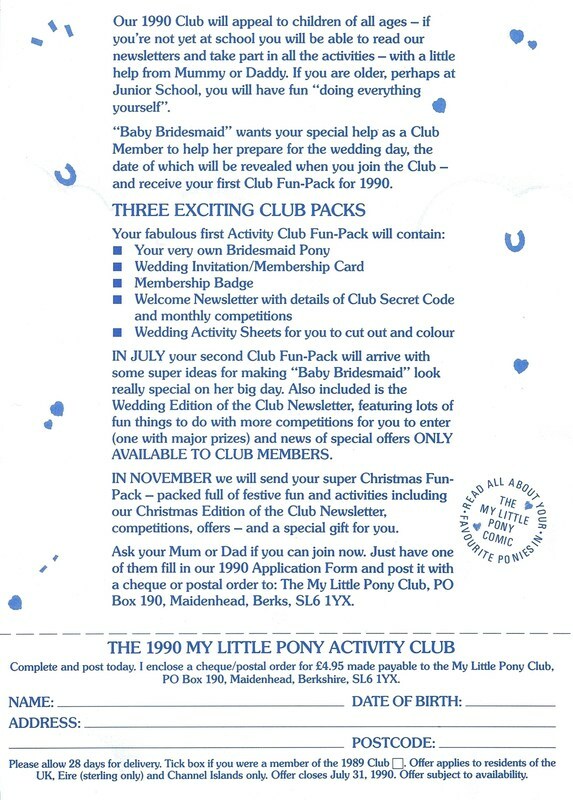 Came in a plain box with a code and a sheet with a tick showing which pony was included. 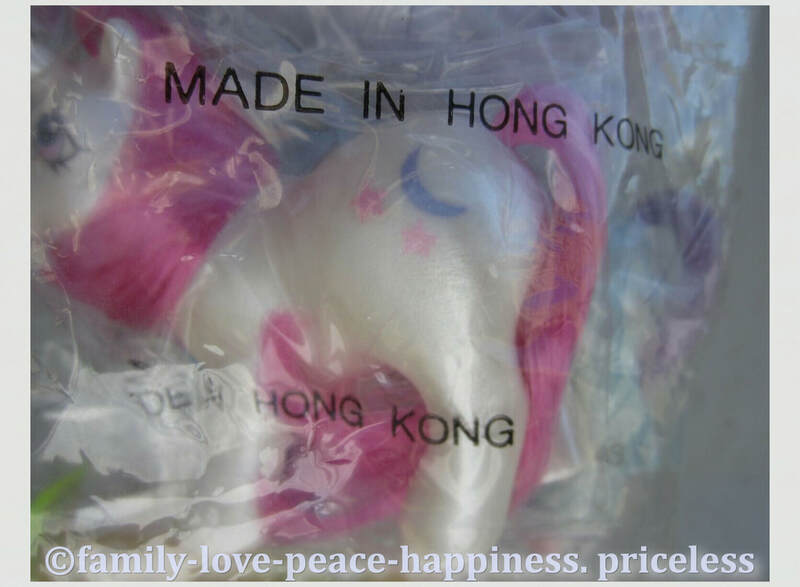 I've also seen Applejack and Moondancer sold in this way. 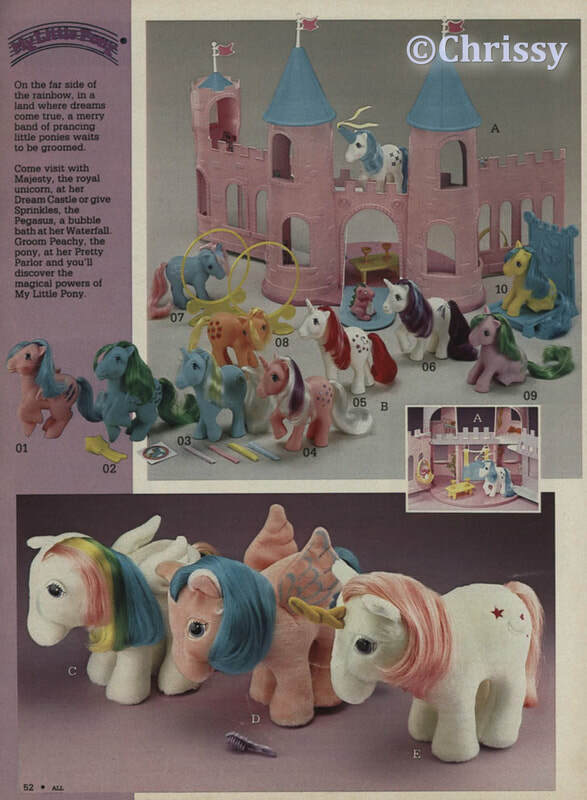 This is an example of a page from Montgomery Ward's 1984 Christmas "wish book." 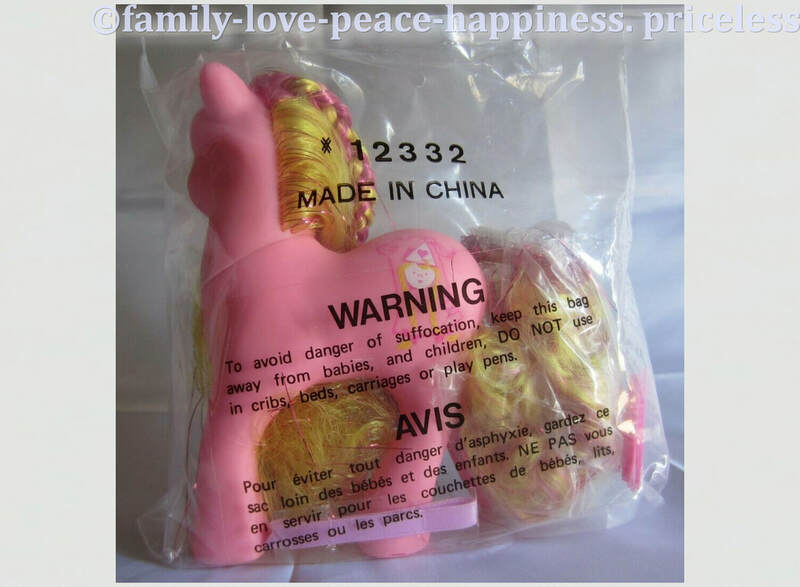 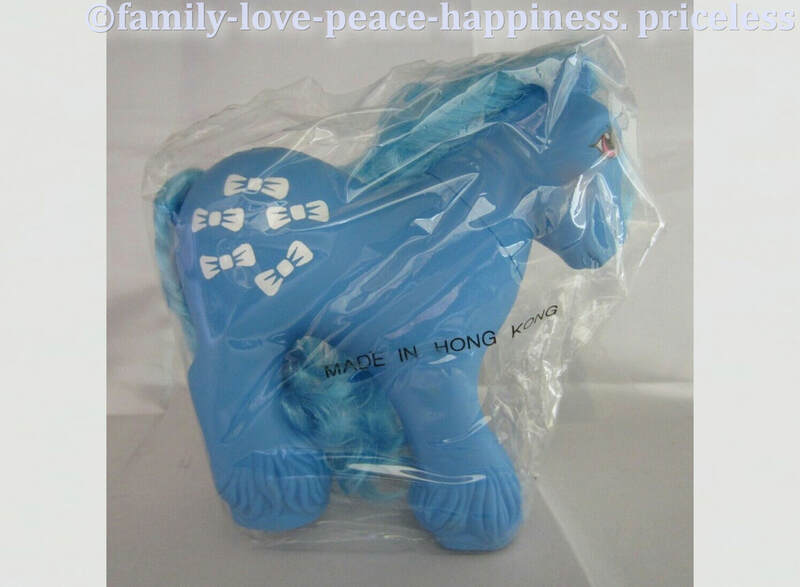 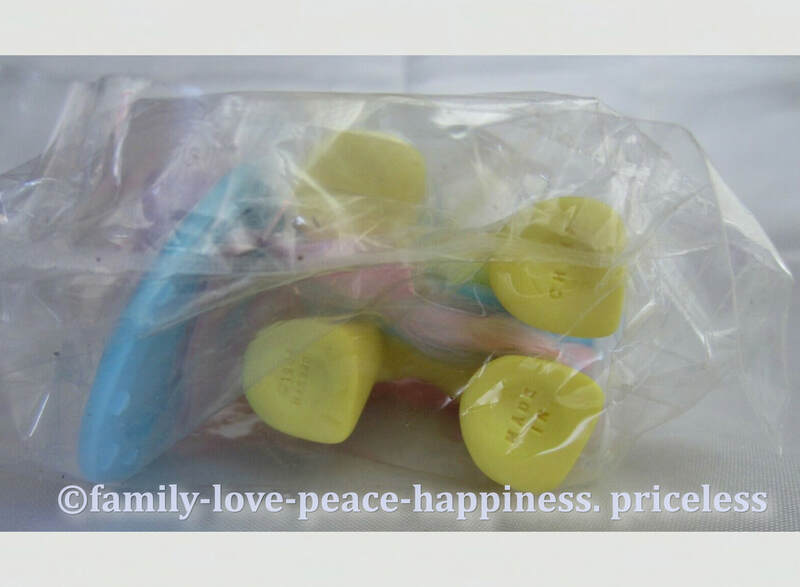 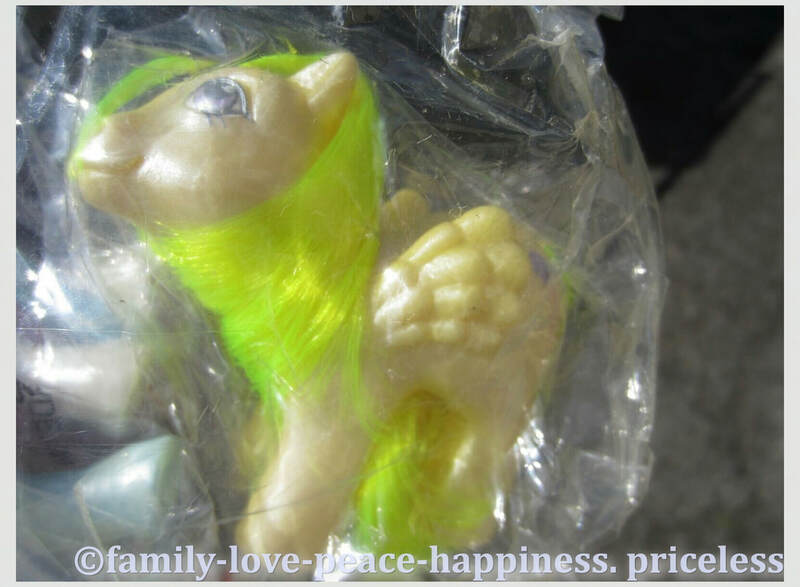 It's possible all of these ponies were sent in the plain box. 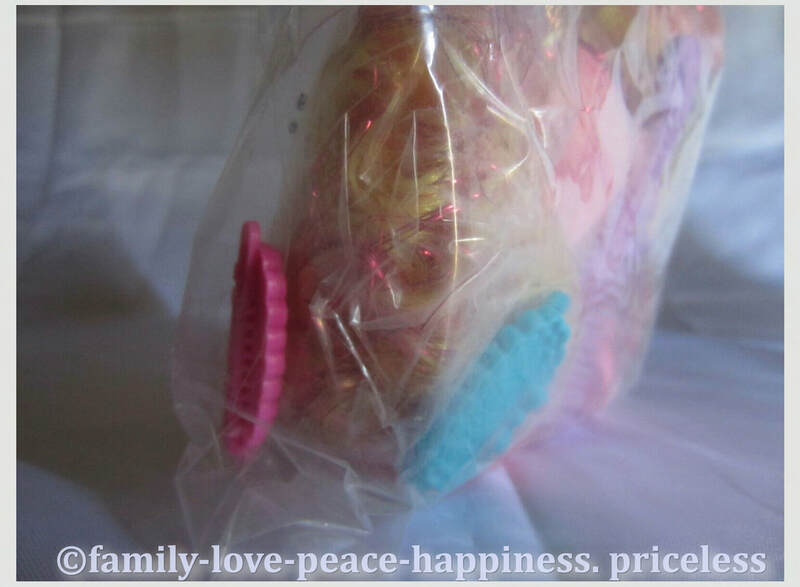 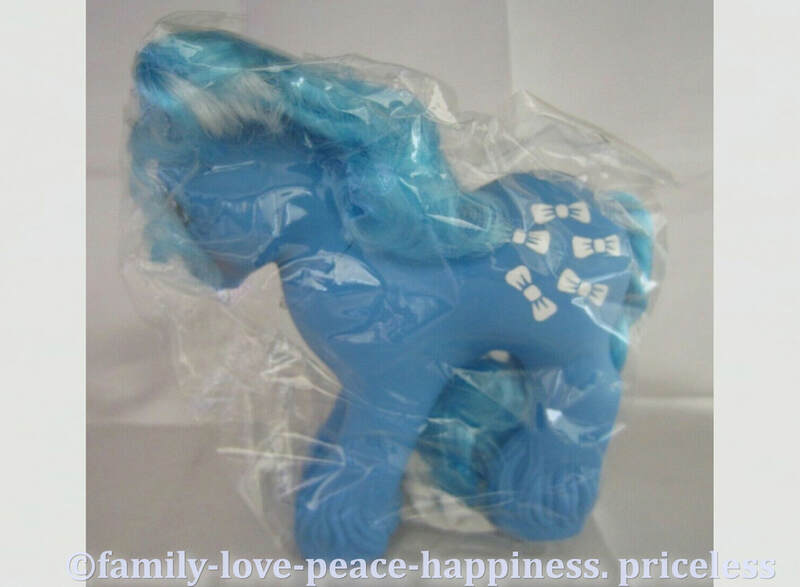 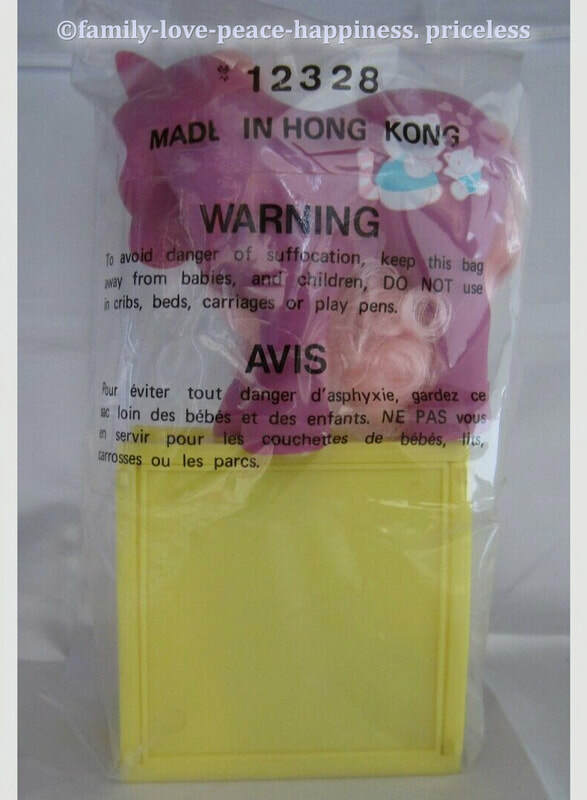 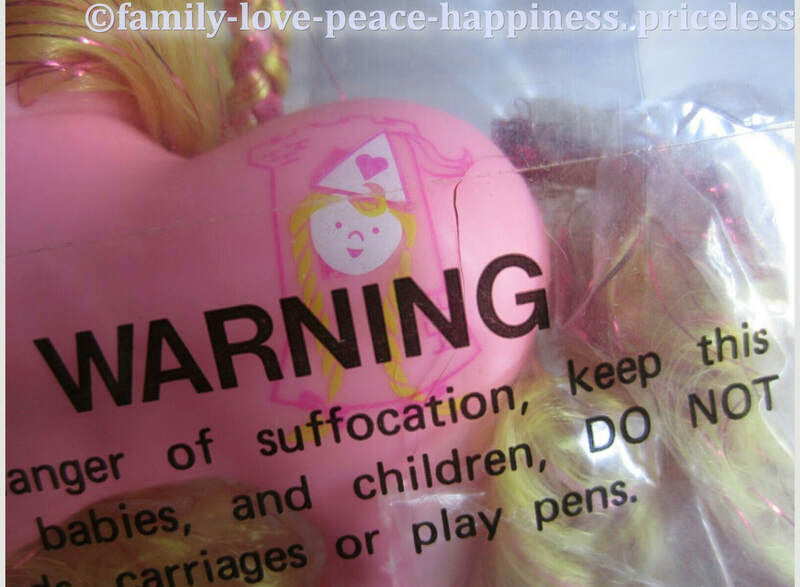 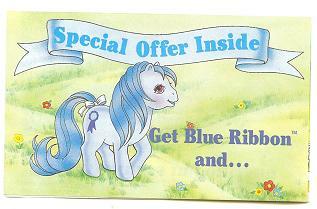 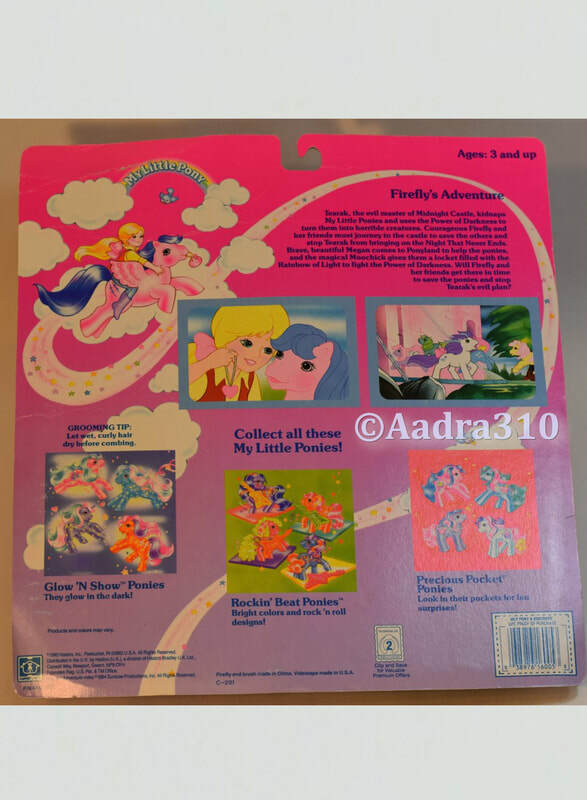 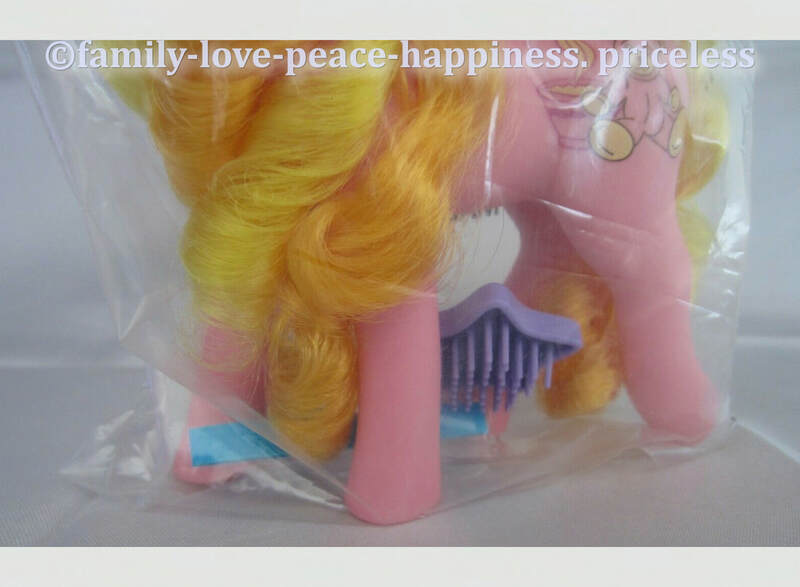 It includes Shy Applejack with white ribbon, blue flower brush, Puffy Sticker and a white leaflet. 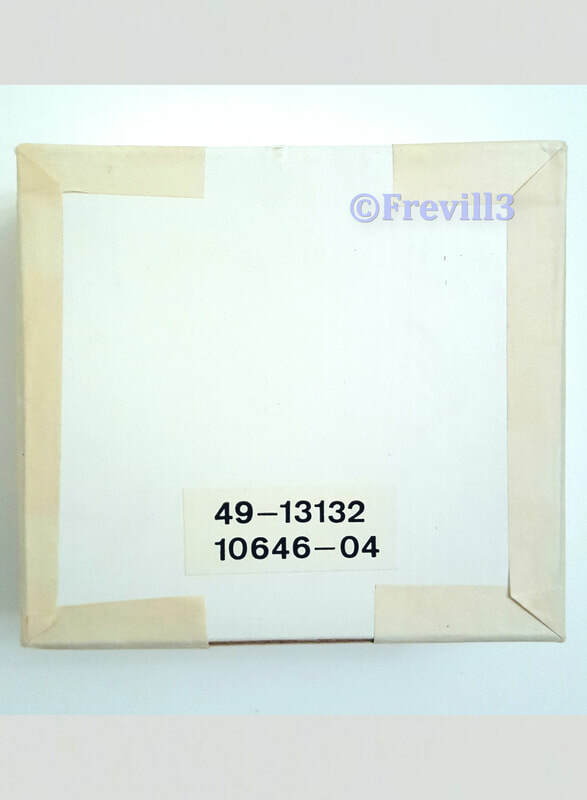 The box is unopened. 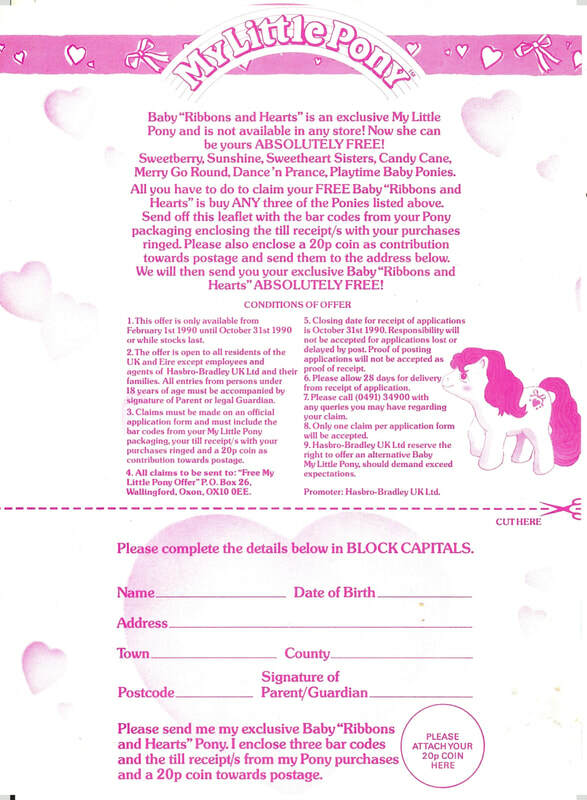 The sheet shows Blossom would be included although the number code is for Snuzzle. 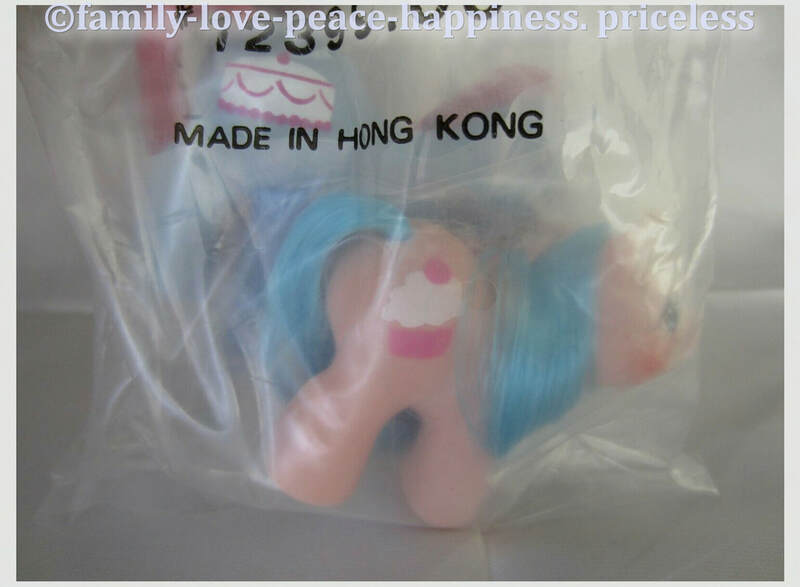 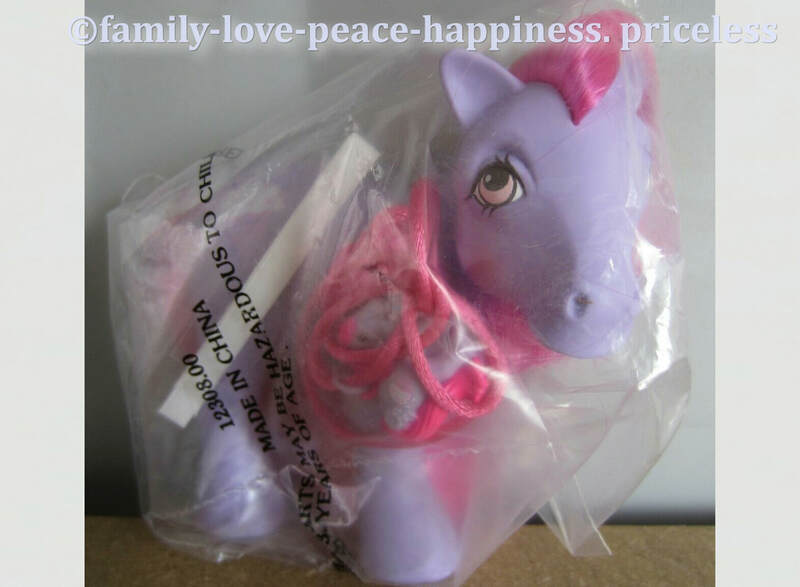 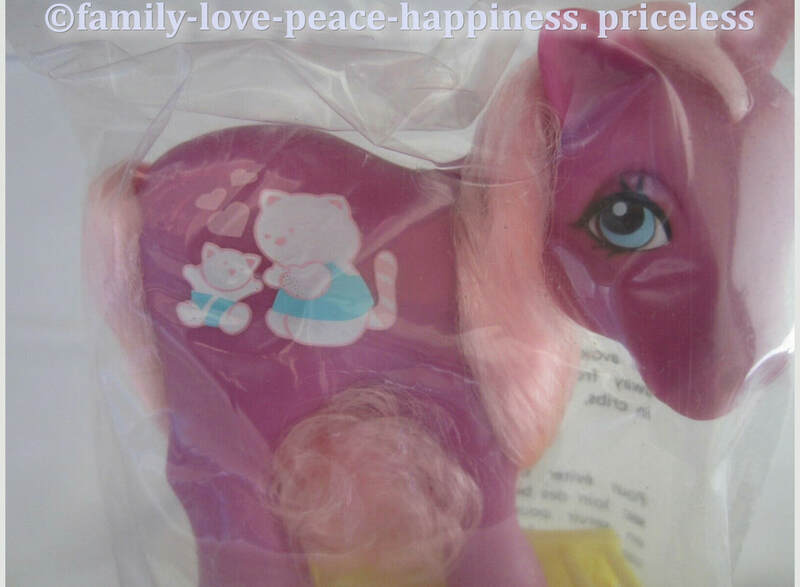 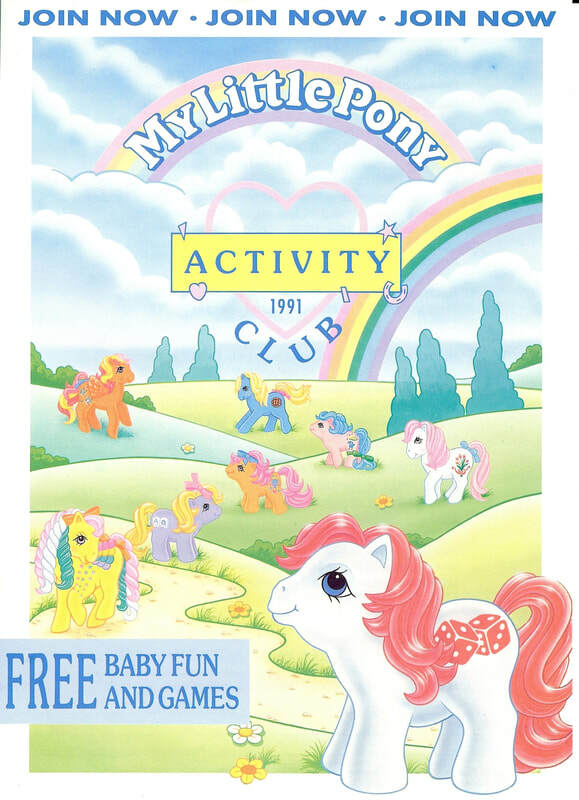 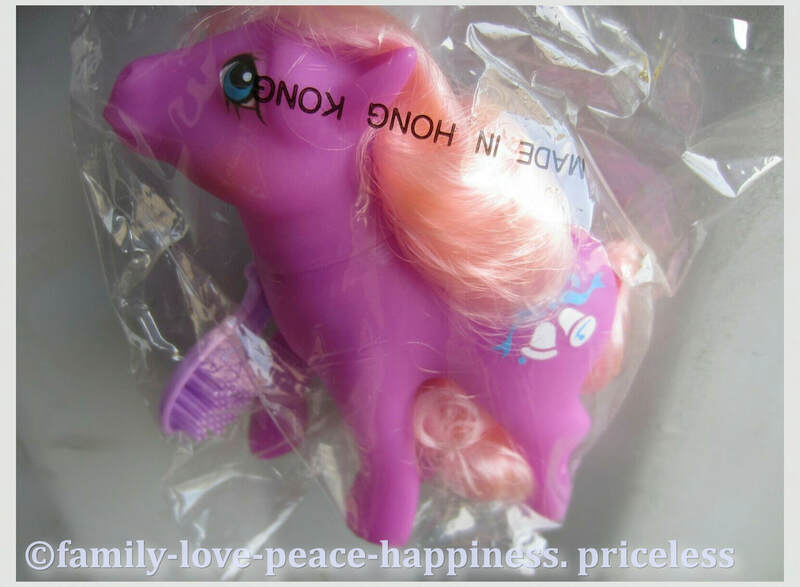 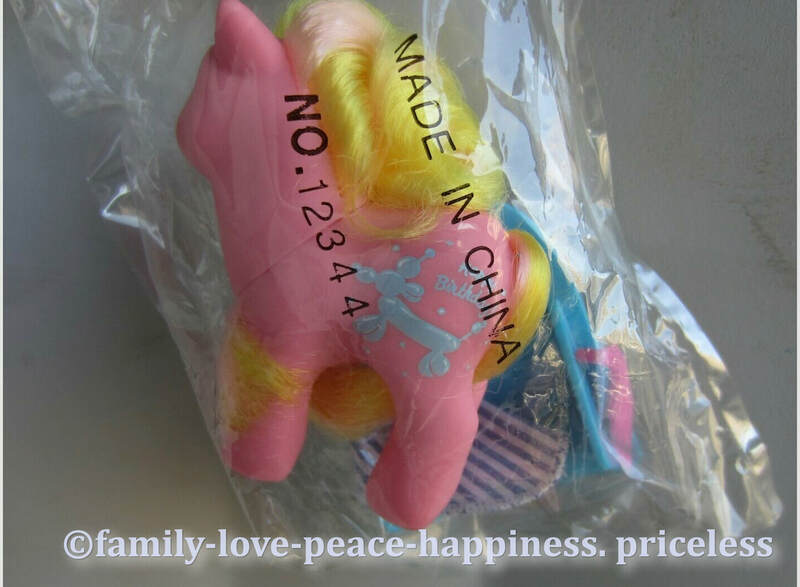 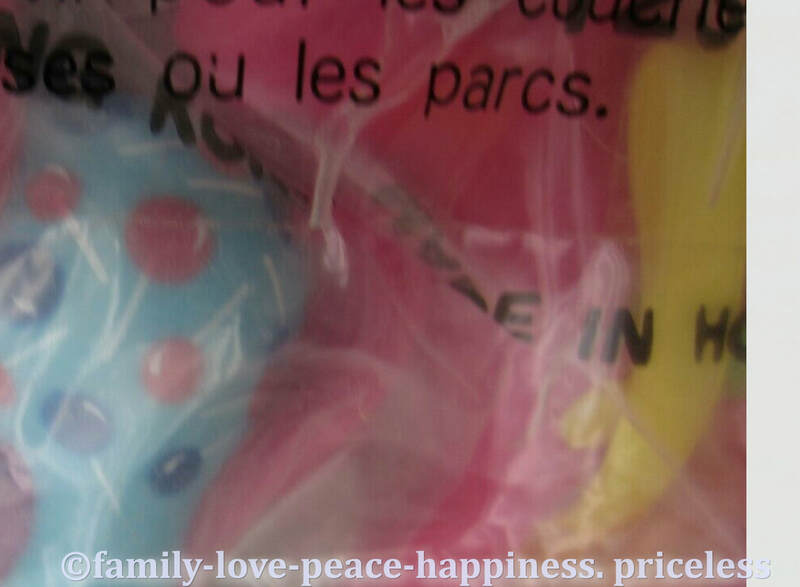 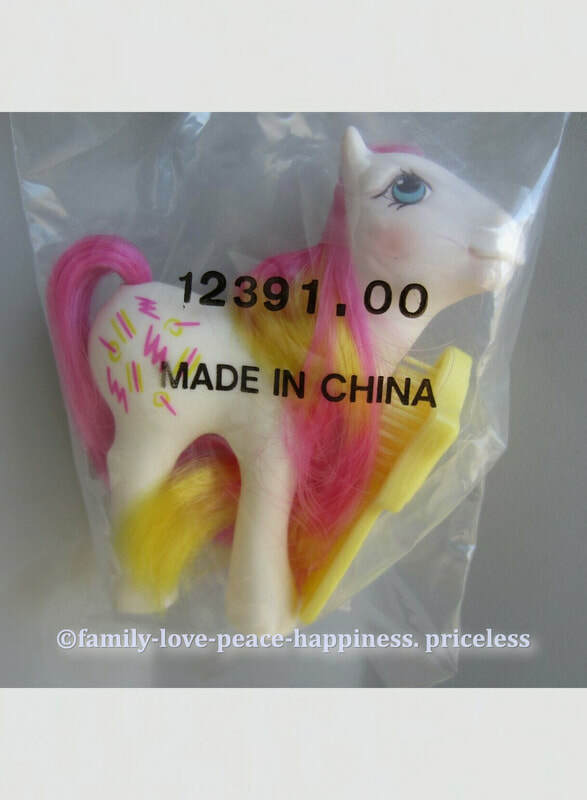 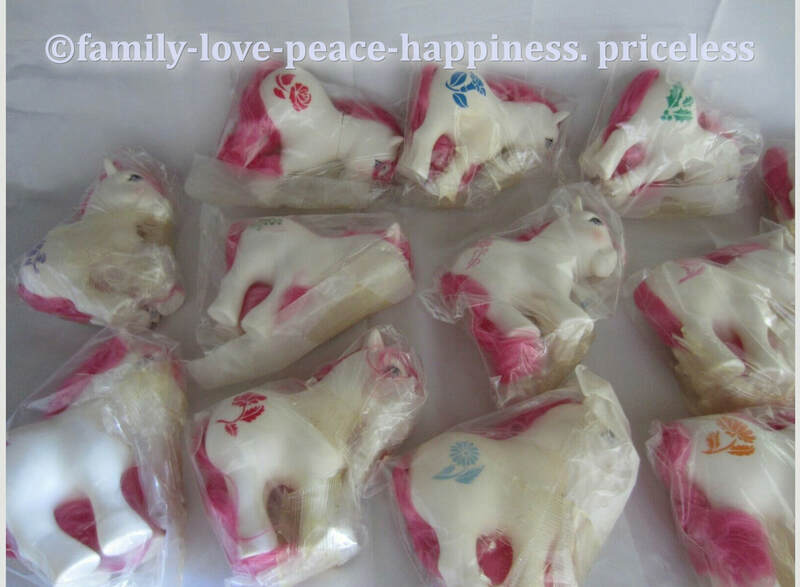 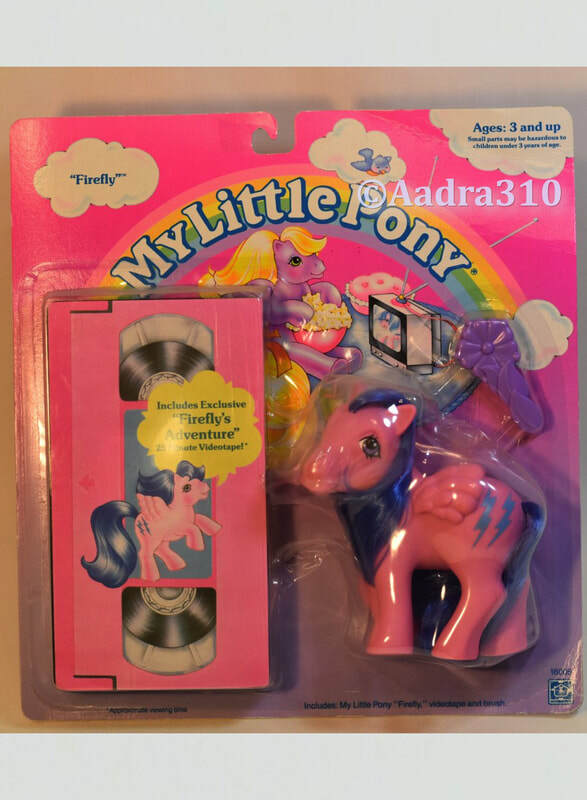 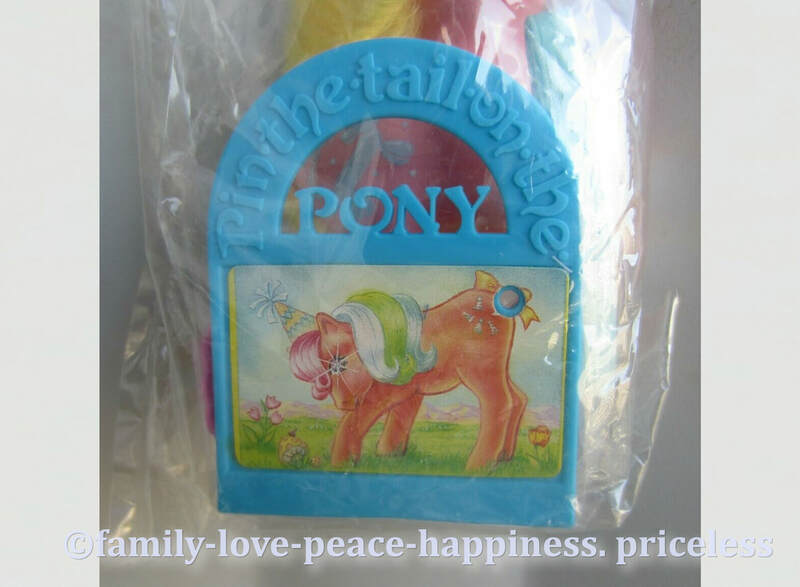 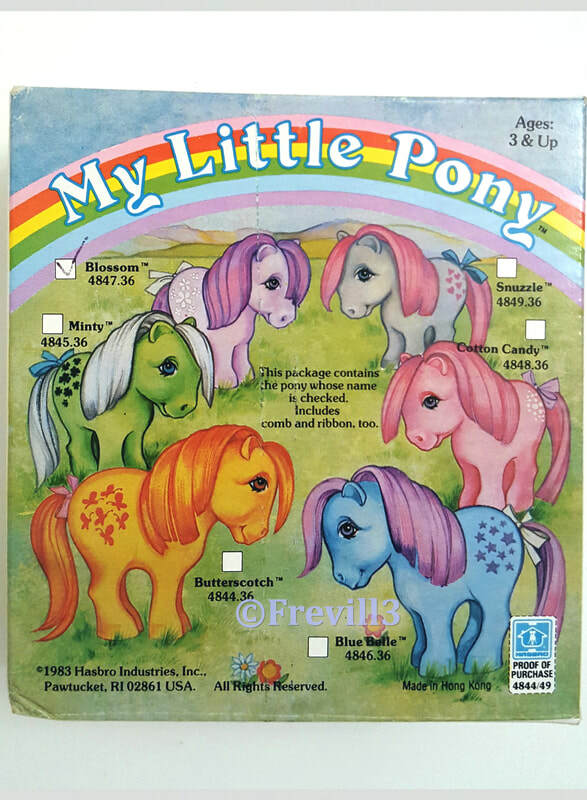 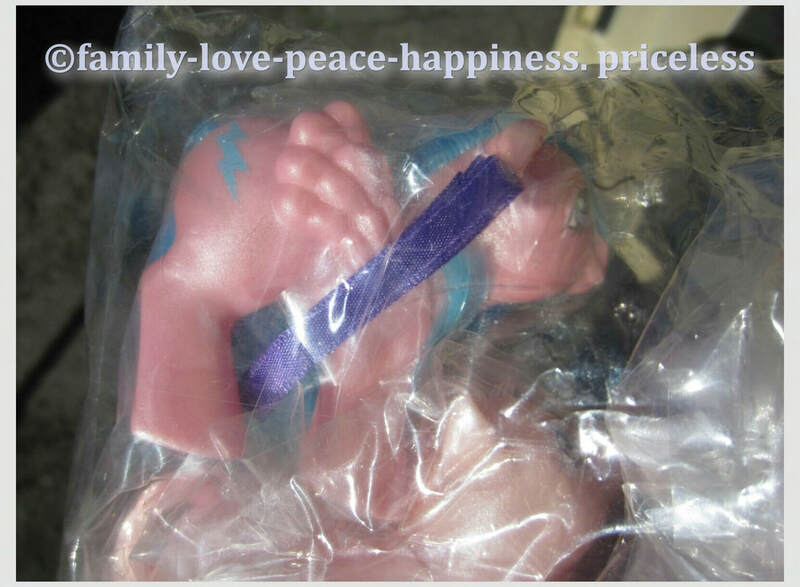 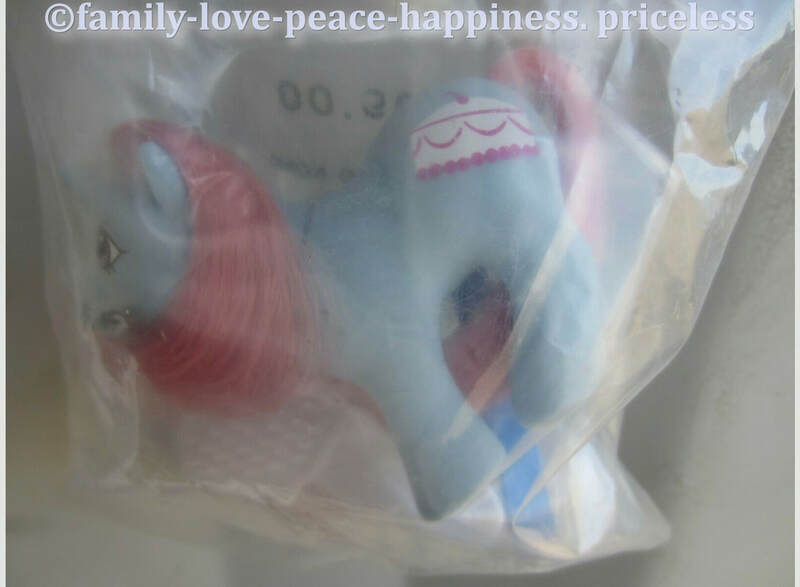 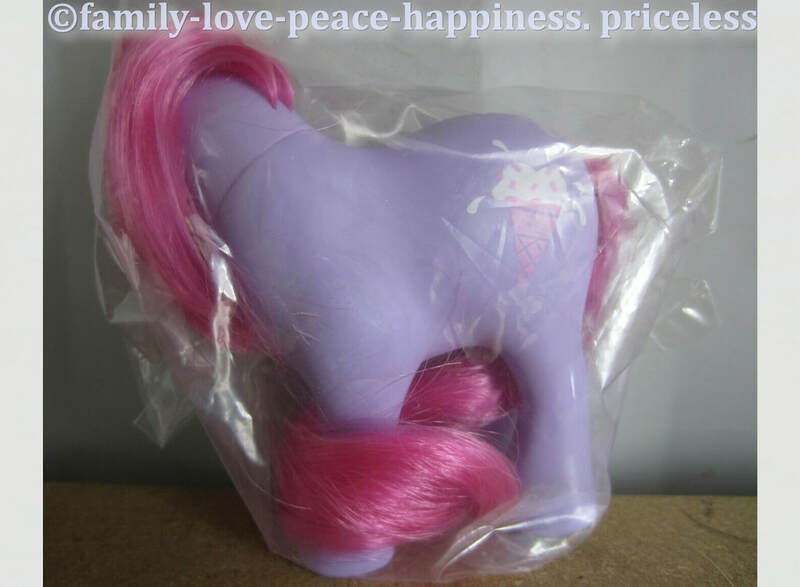 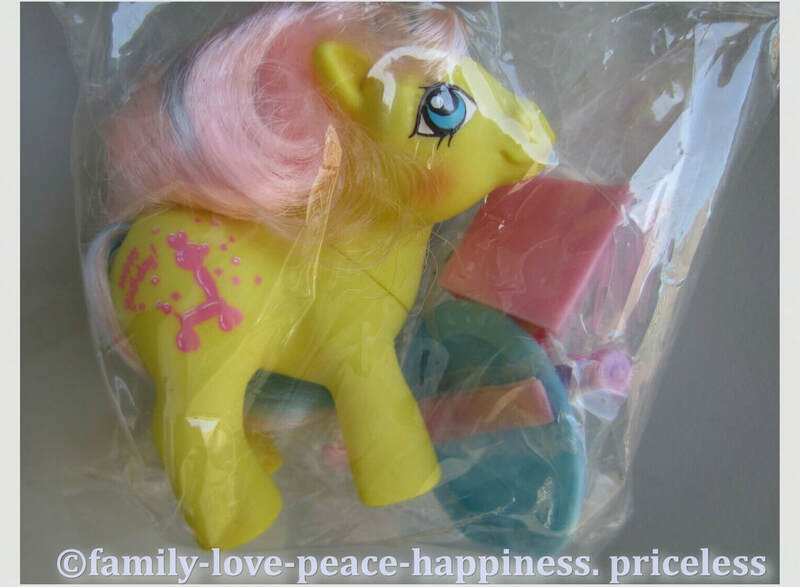 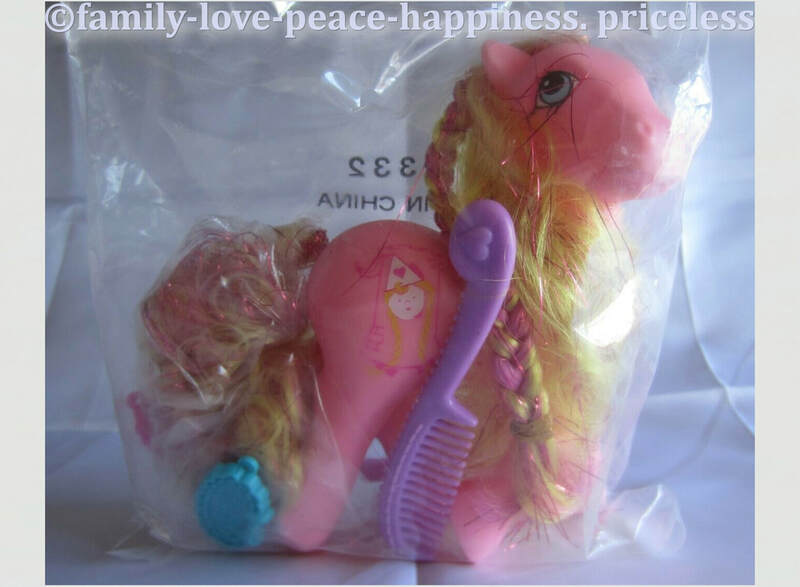 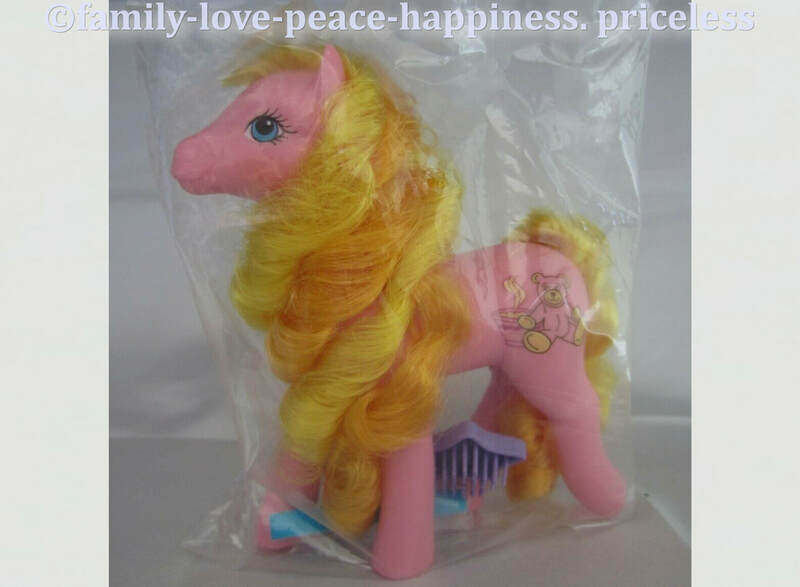 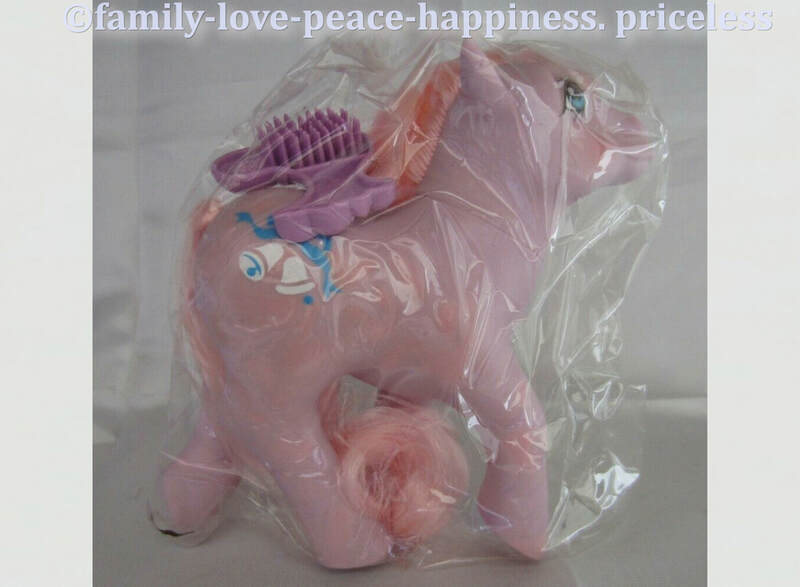 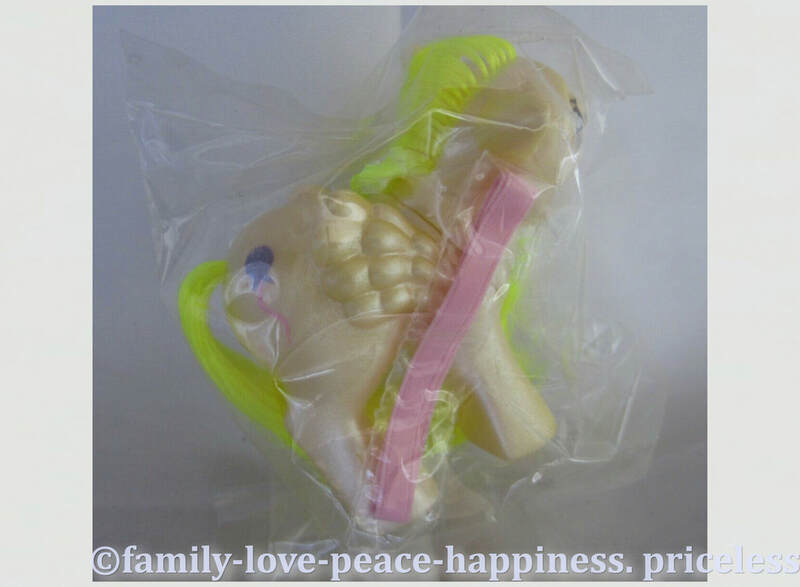 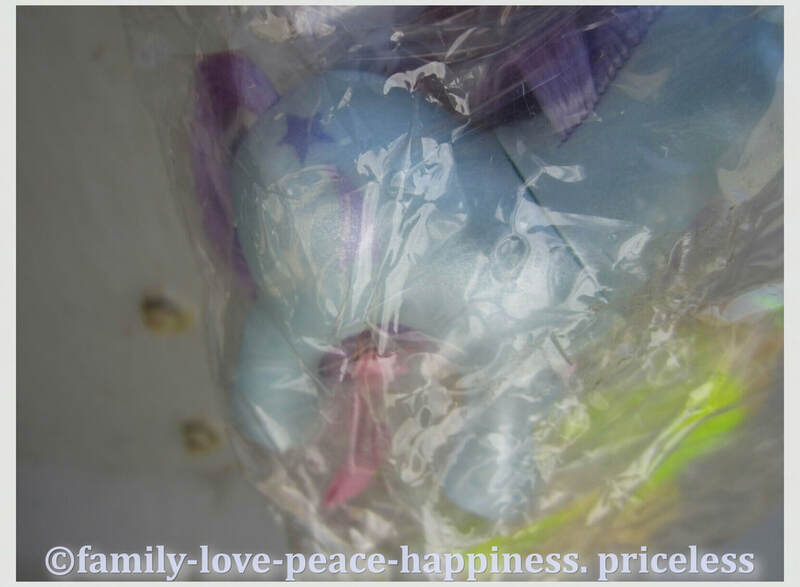 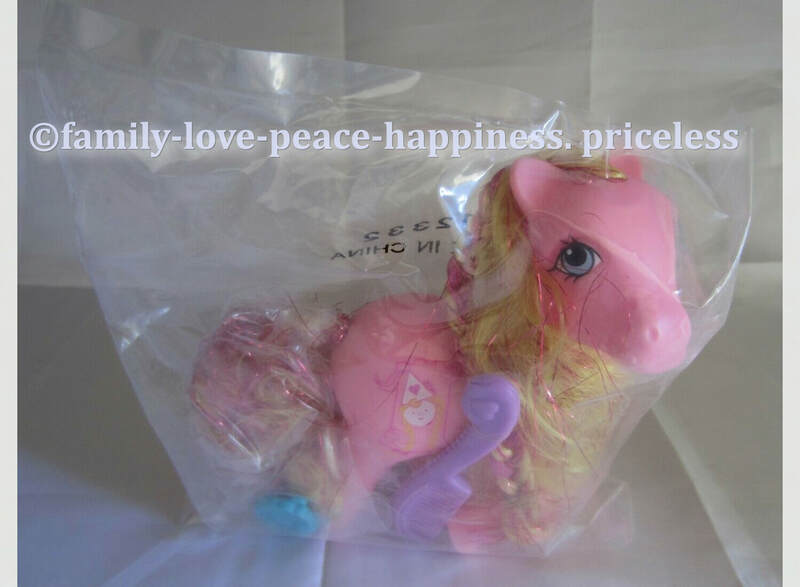 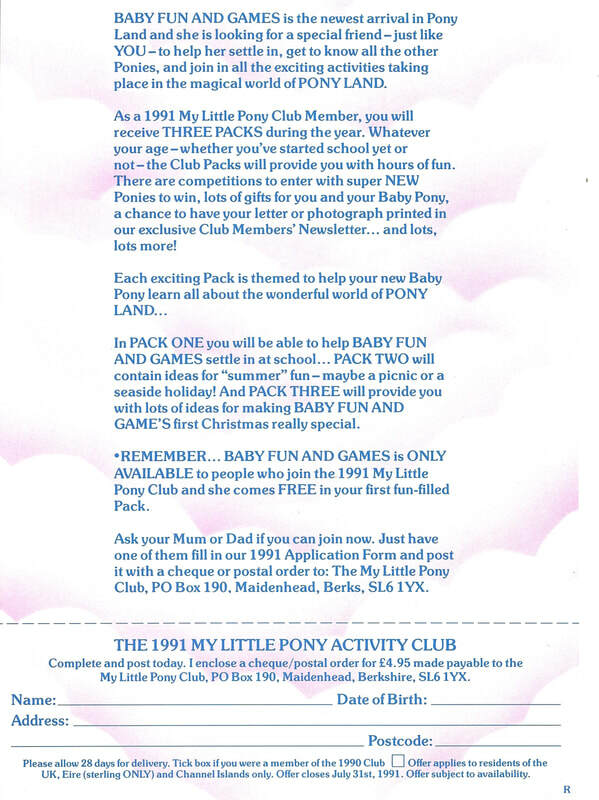 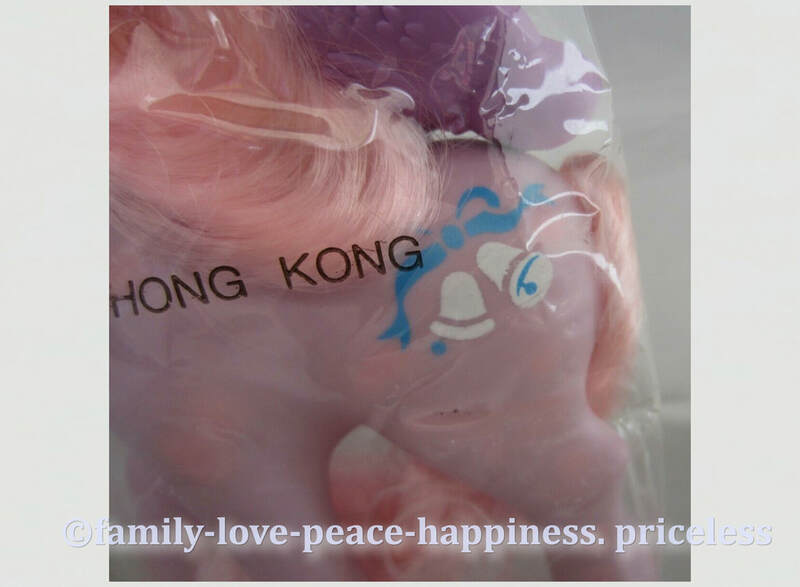 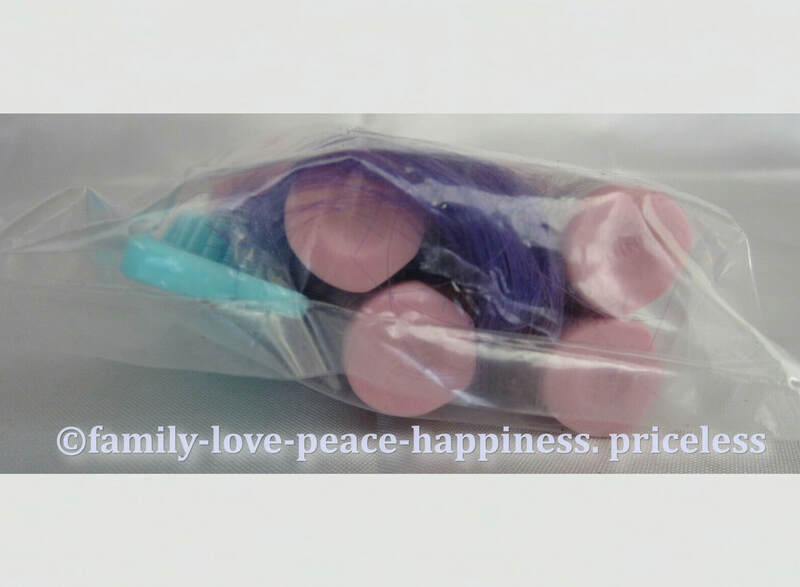 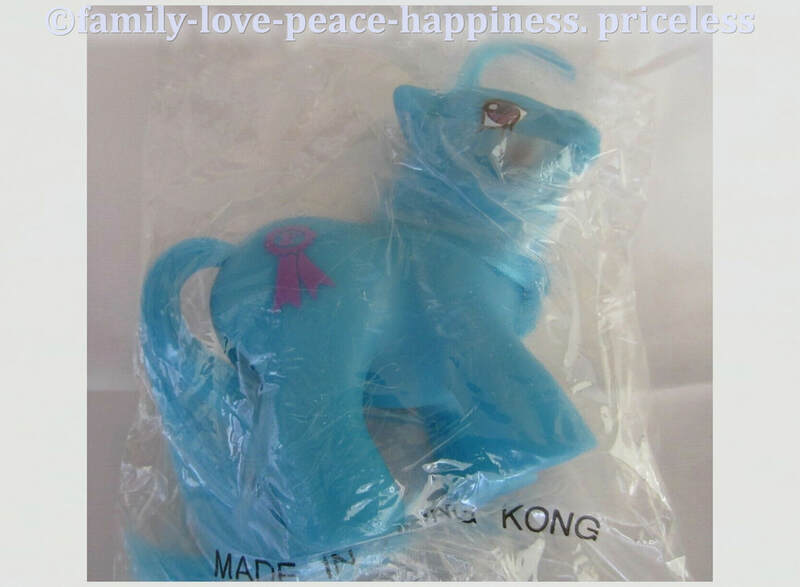 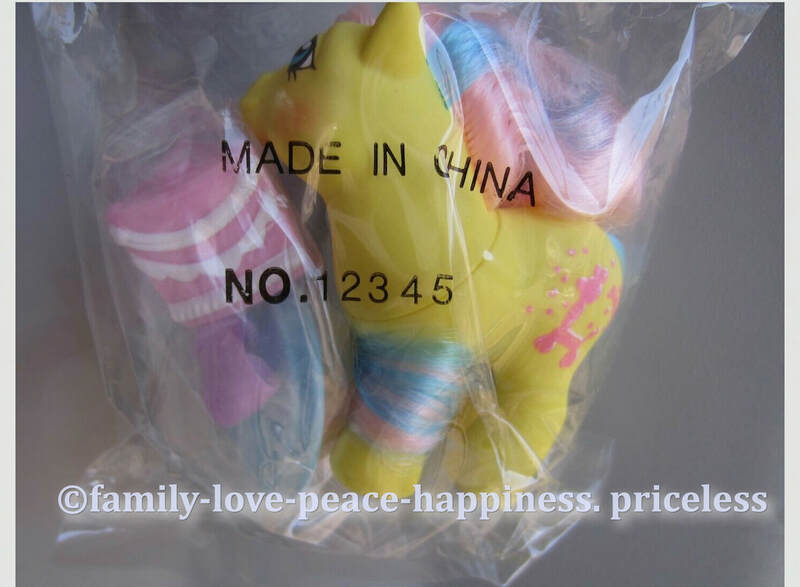 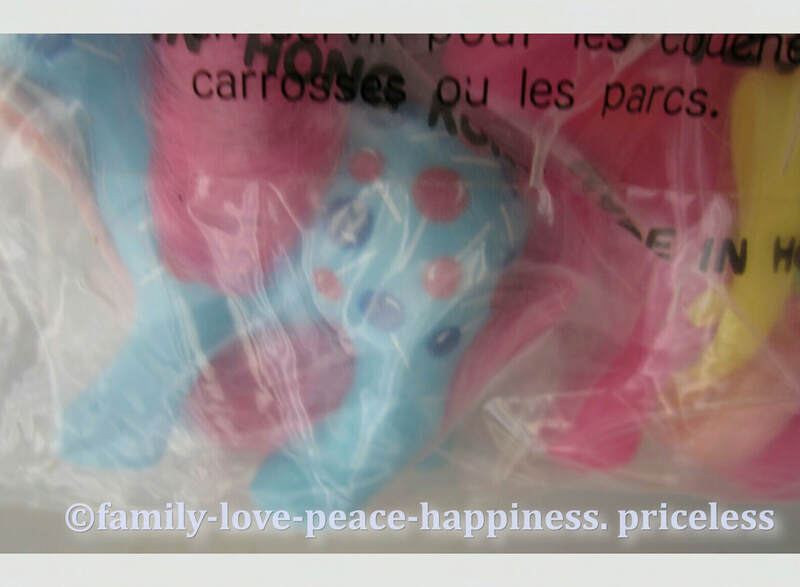 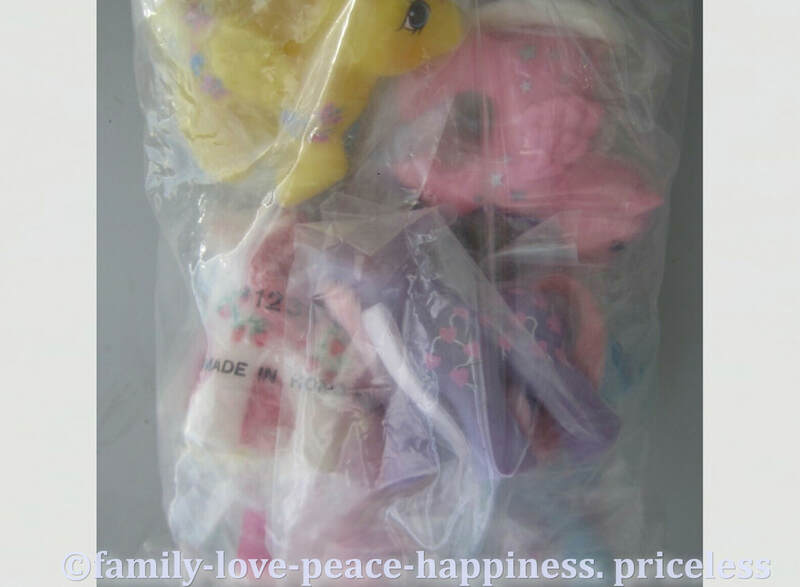 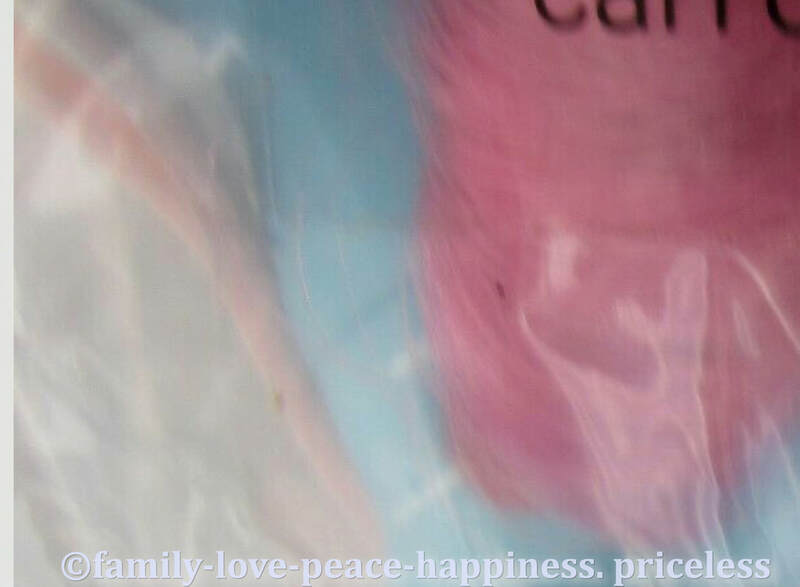 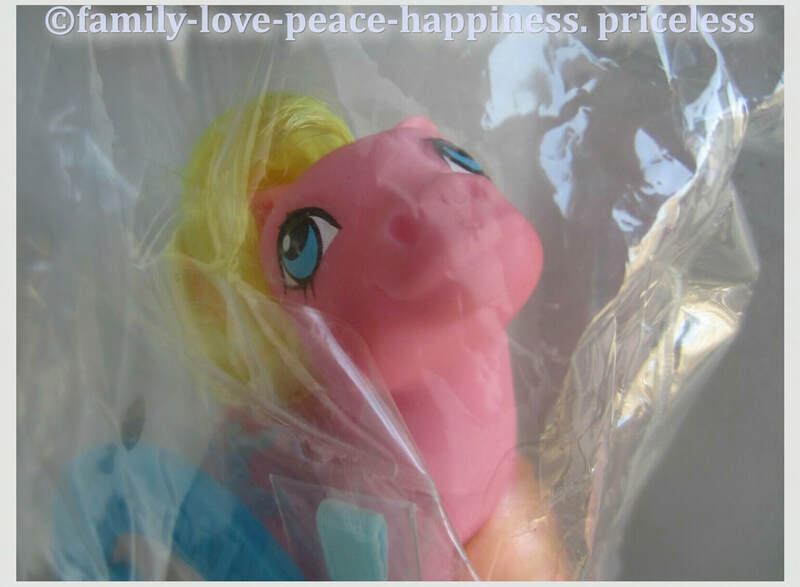 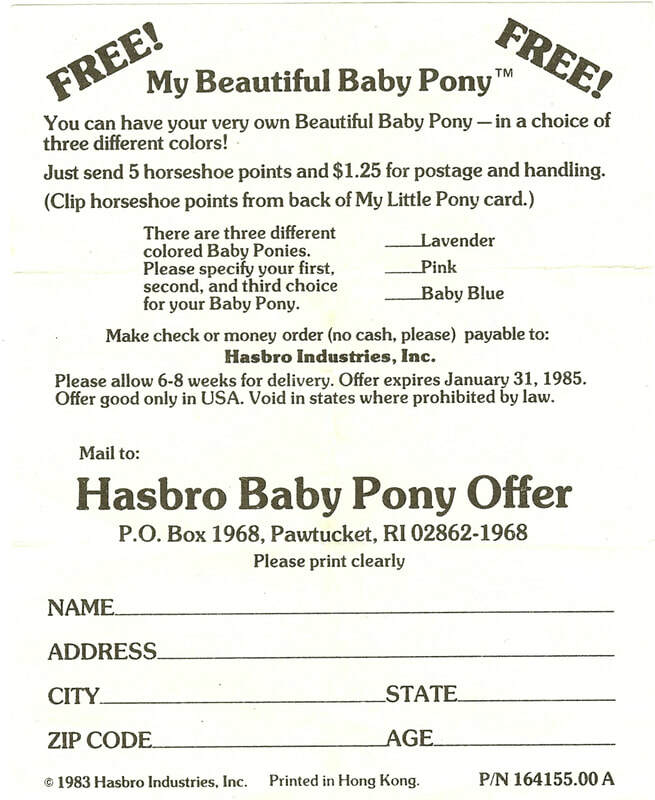 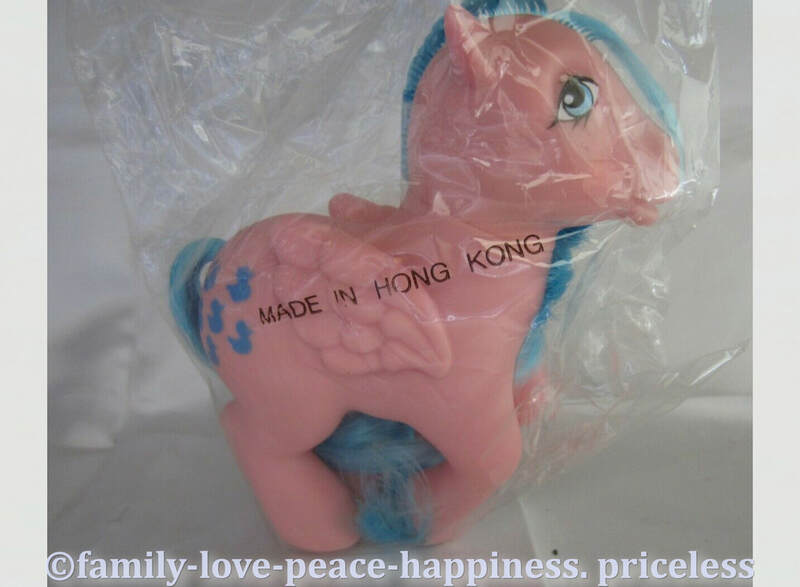 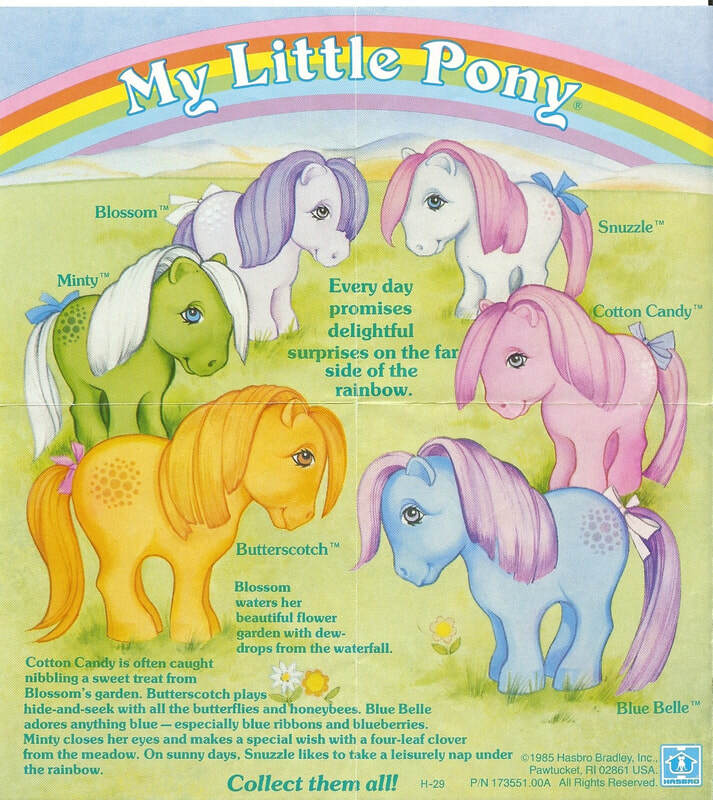 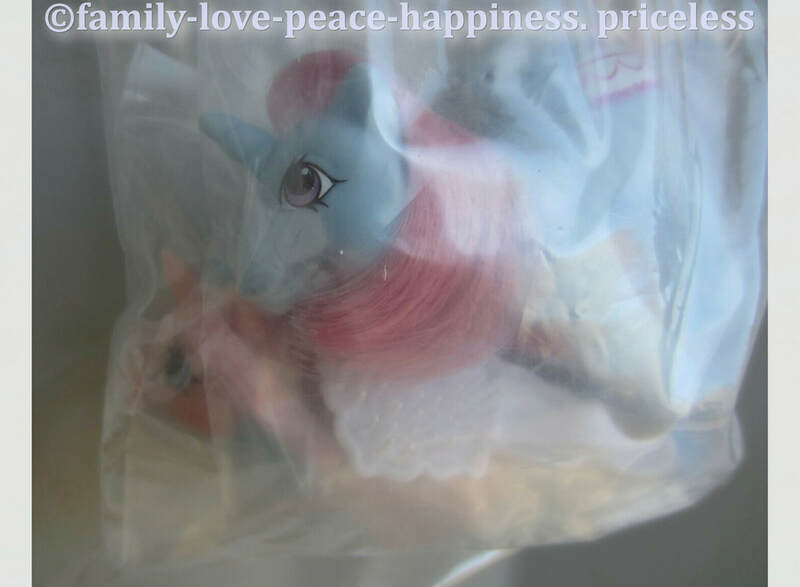 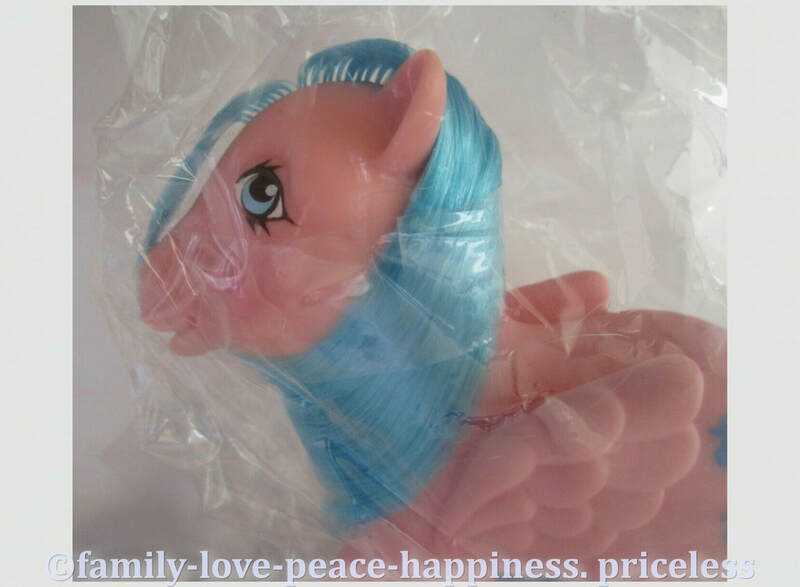 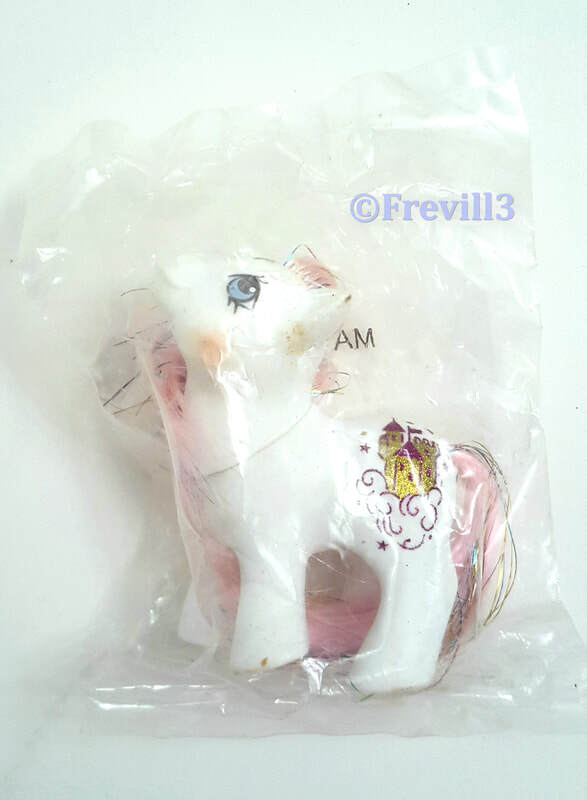 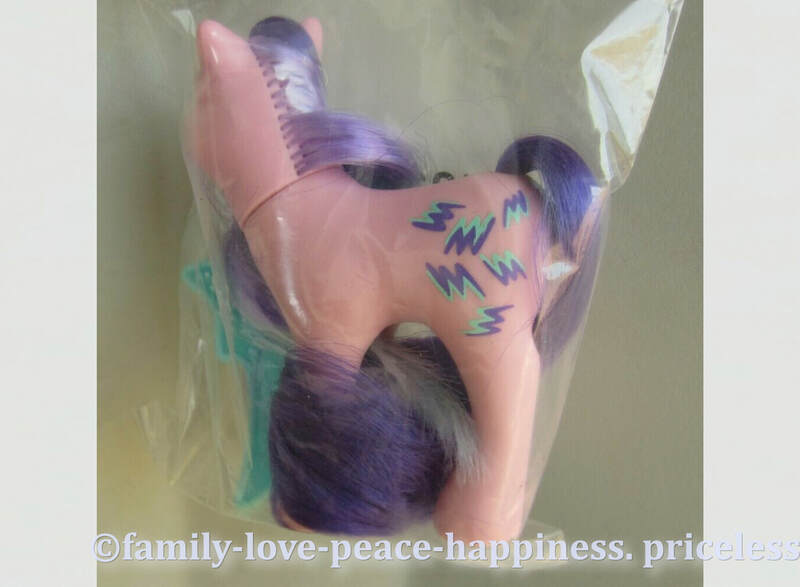 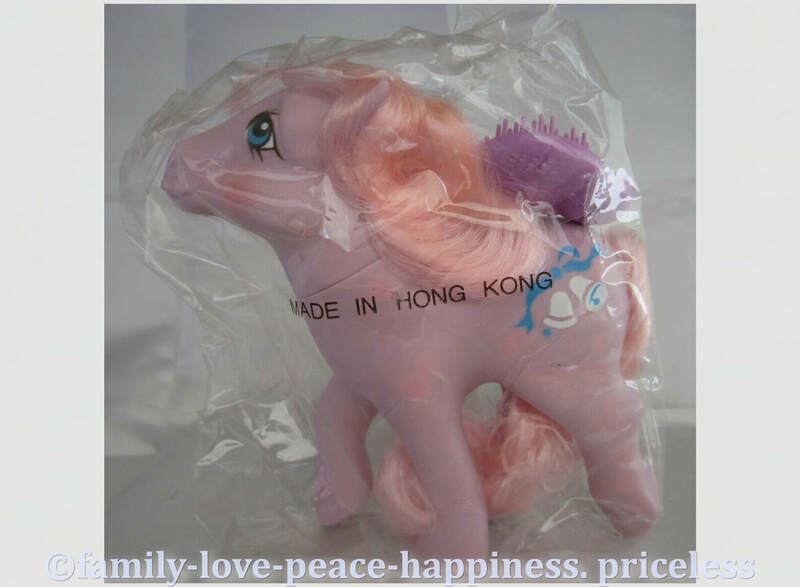 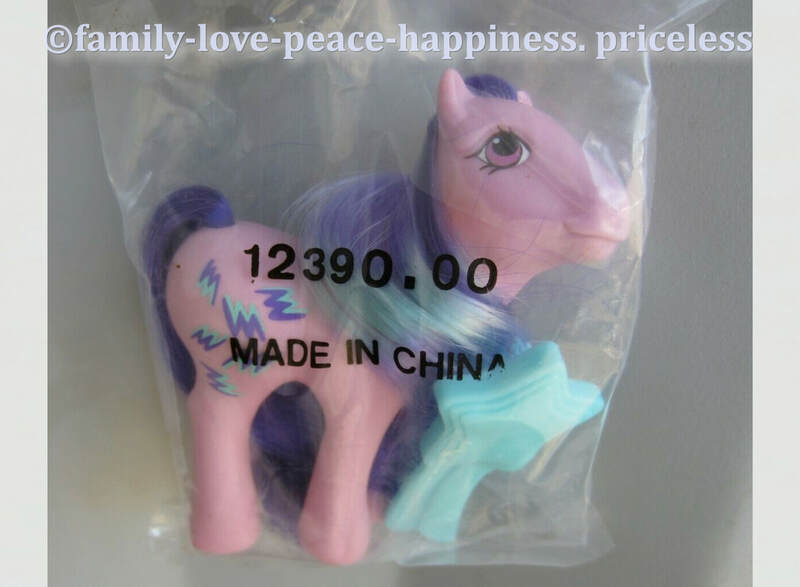 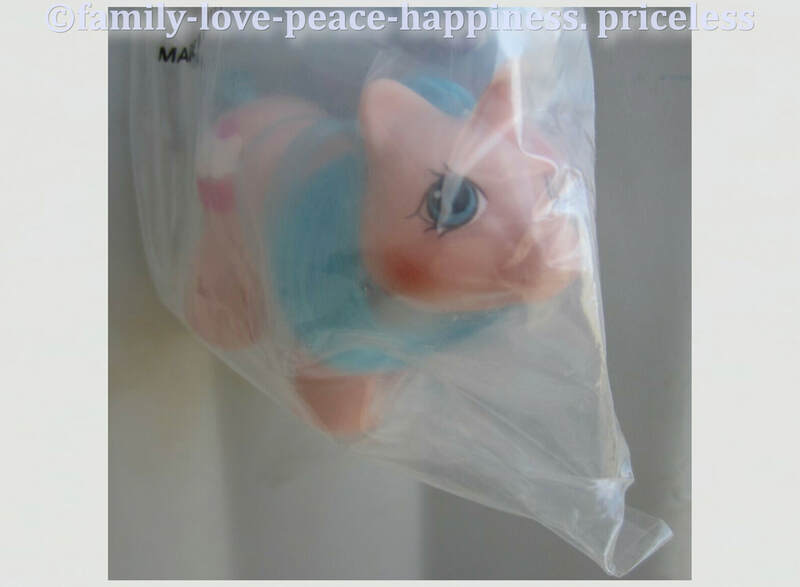 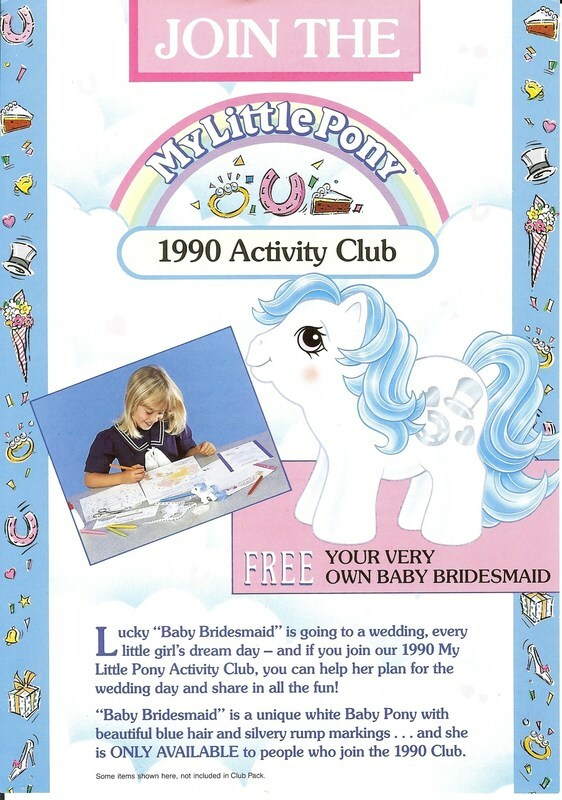 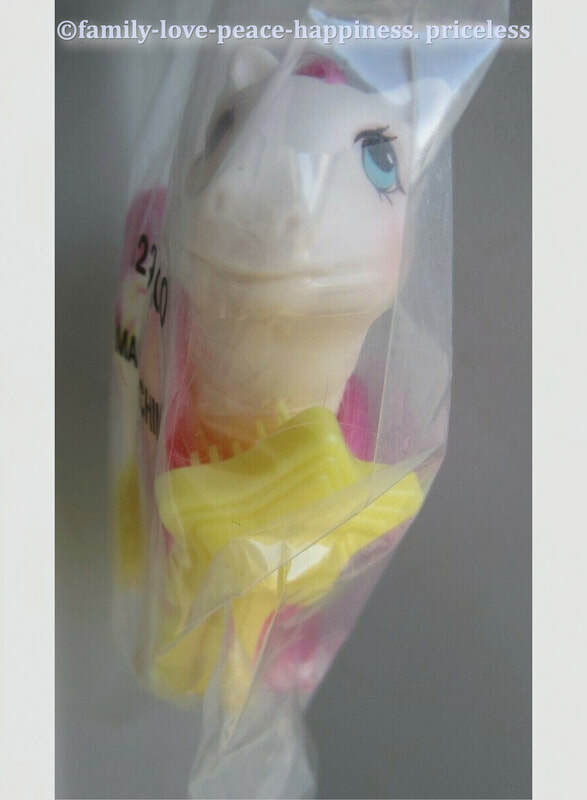 There were a number of Ponies sold in the UK in plastic bags with simple purple card tops with the My Little Pony Rainbow Logo. 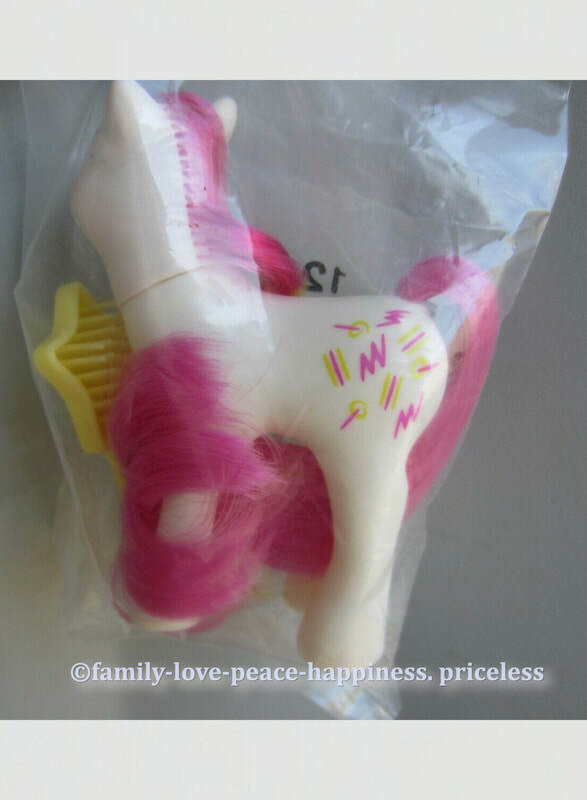 On the back of Tux 'n Tails it says "Kingsley Paige PLC, Peterborough"
Butterscotch with pink ribbon and original comb.